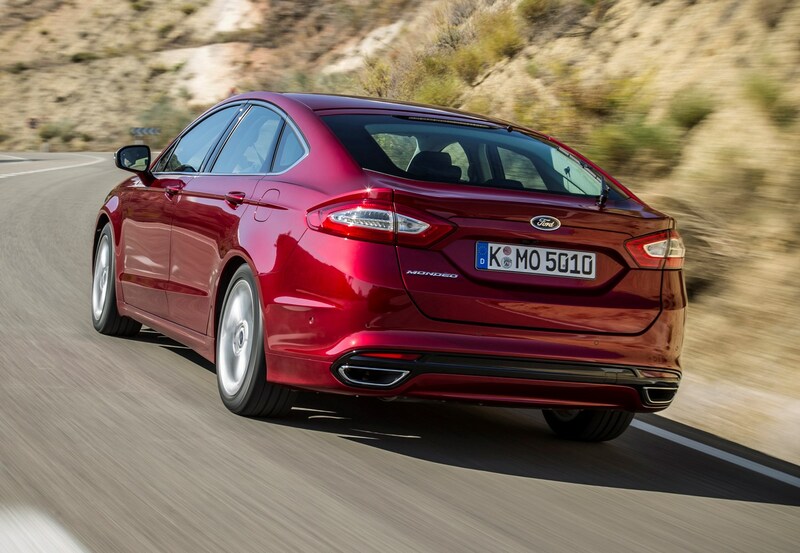 Despite the entire engine range being turbocharged, it’s done to improve overall efficiency rather than allow Ford Mondeo performance to really scintillate. 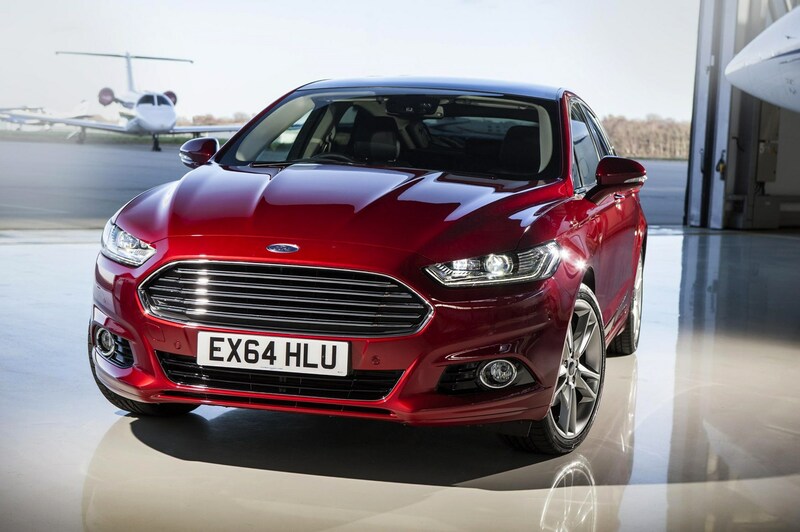 That said, such is the breadth of engines available, that there will be something to suit a wide range of buyers. 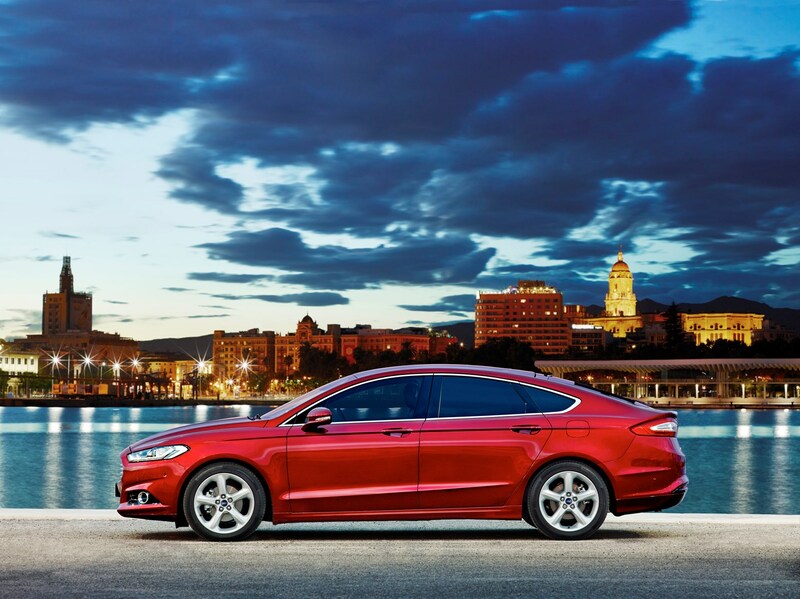 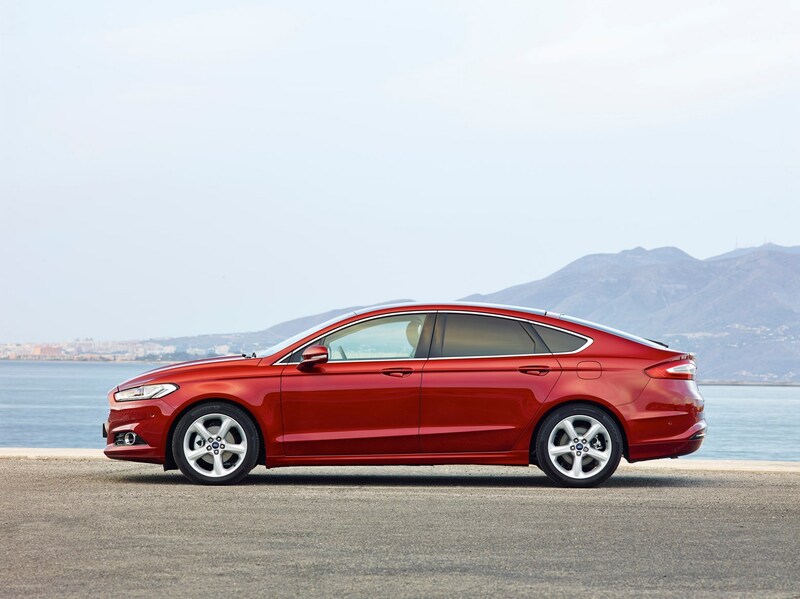 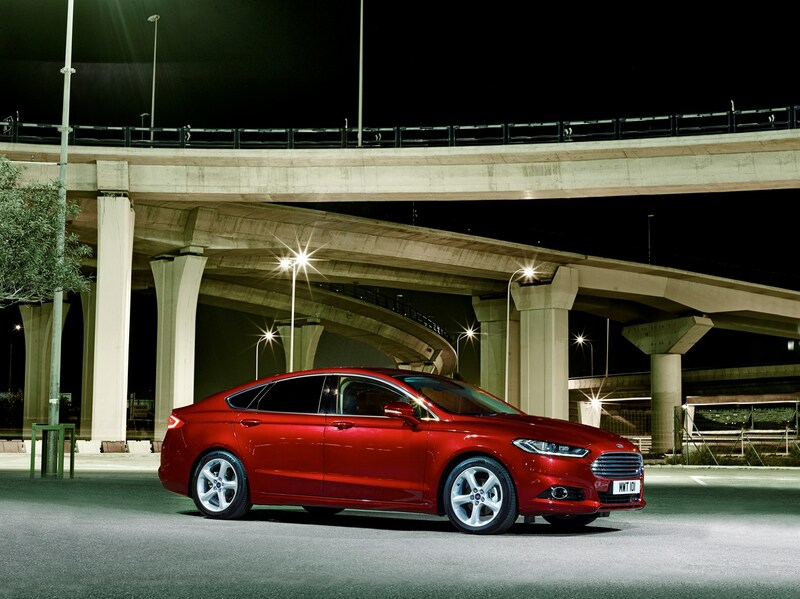 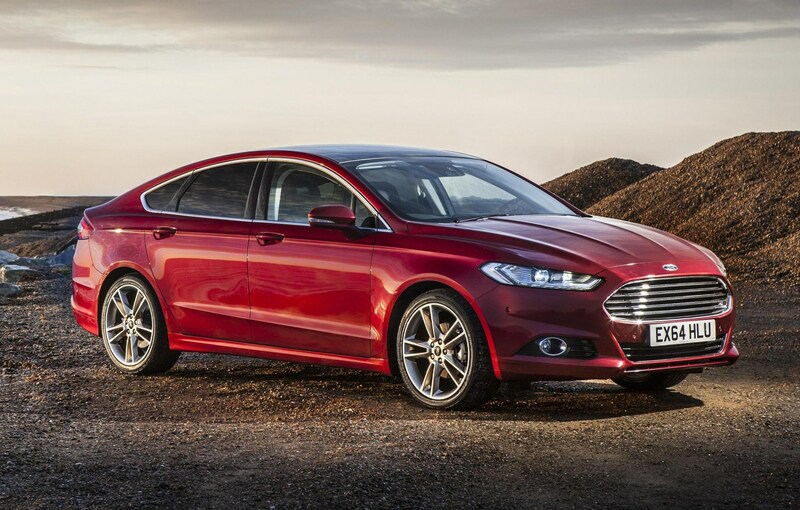 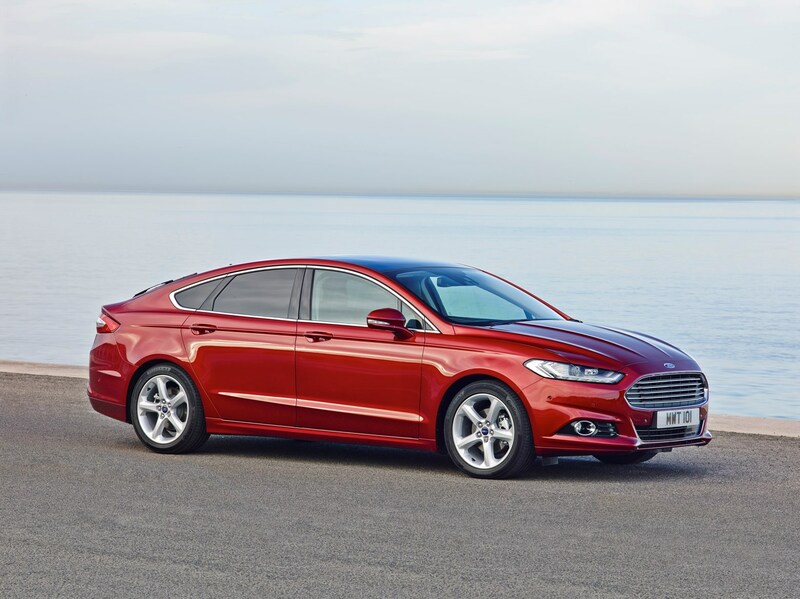 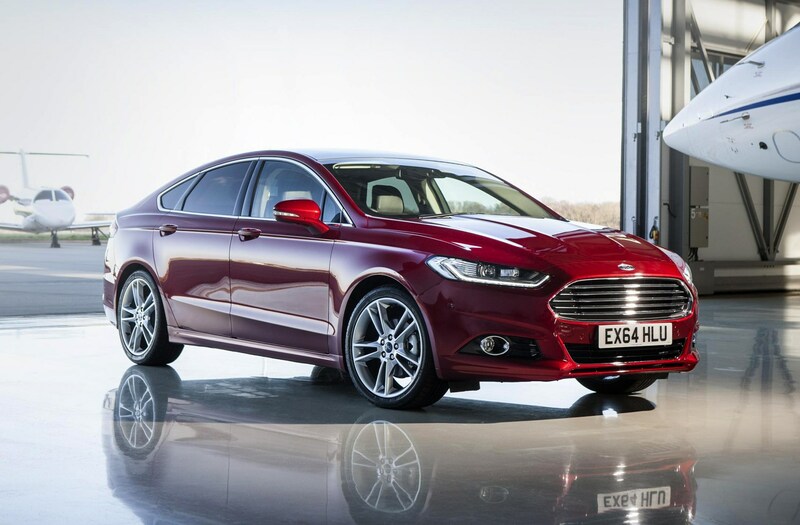 With diesel engines expected to power 90% of Mondeo hatchbacks in Britain it’s important to offer a strong choice and Ford has delivered. 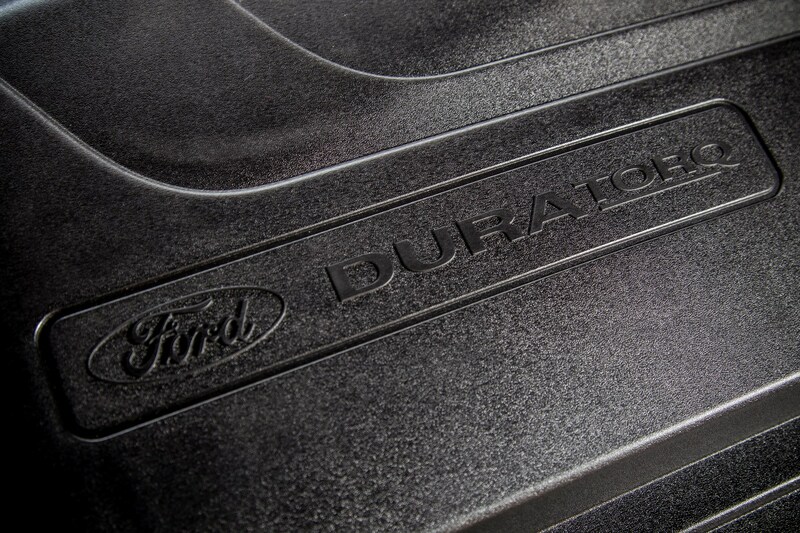 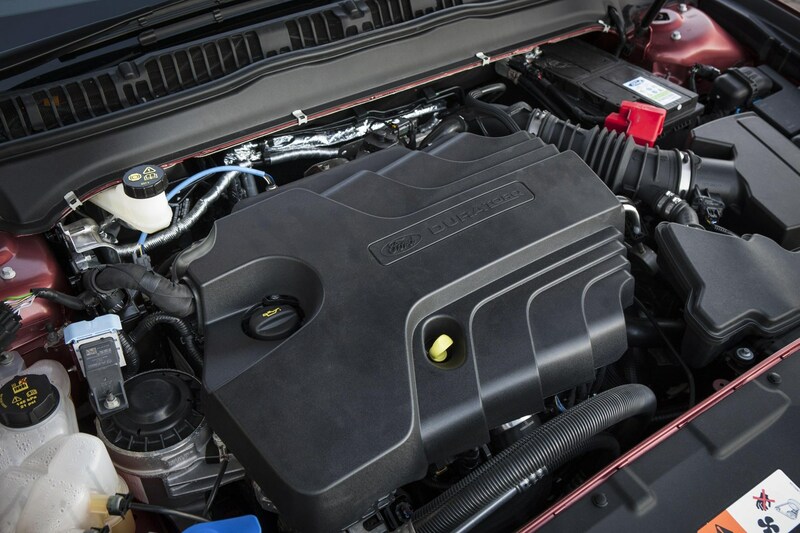 Kicking off the diesel range is a 1.5-litre Duratorq TDCi Econetic engine producing 120hp and 270Nm of torque. 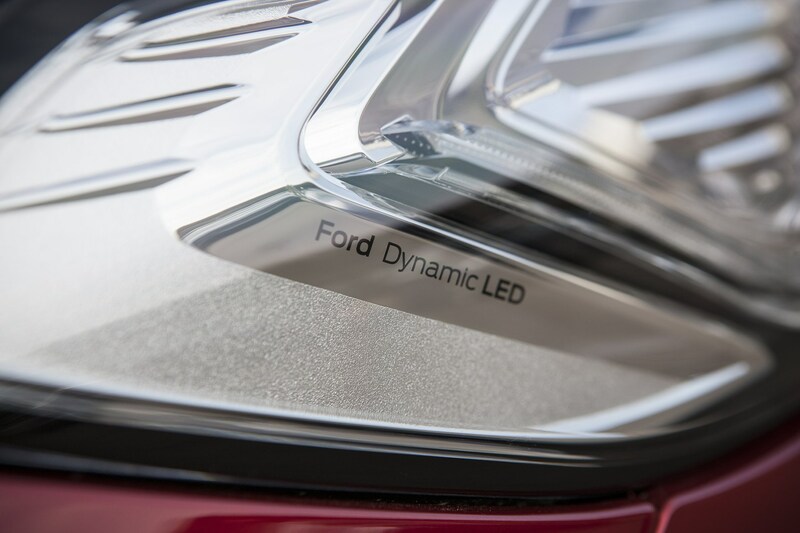 As you might expect from its eco-conscious name, this engine focuses more on efficiency than performance. 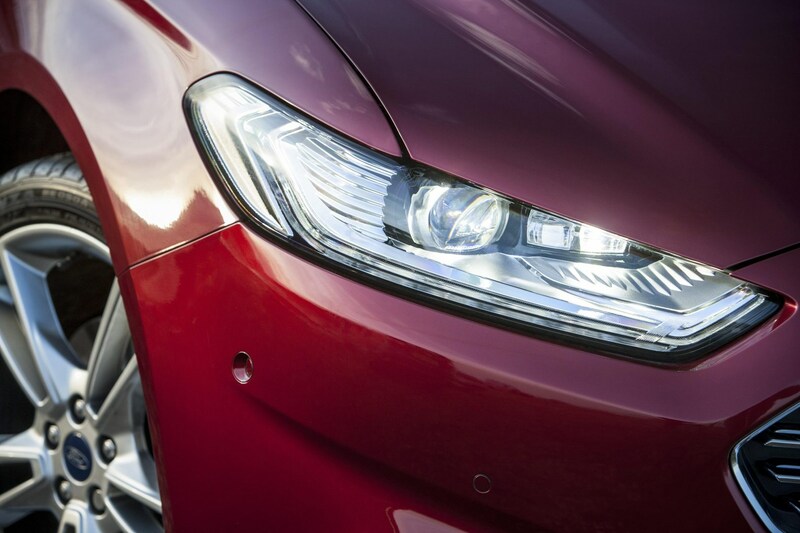 As such, it takes 12.1 seconds to complete the 0-62mph benchmark sprint, and will reach a 119mph top speed. 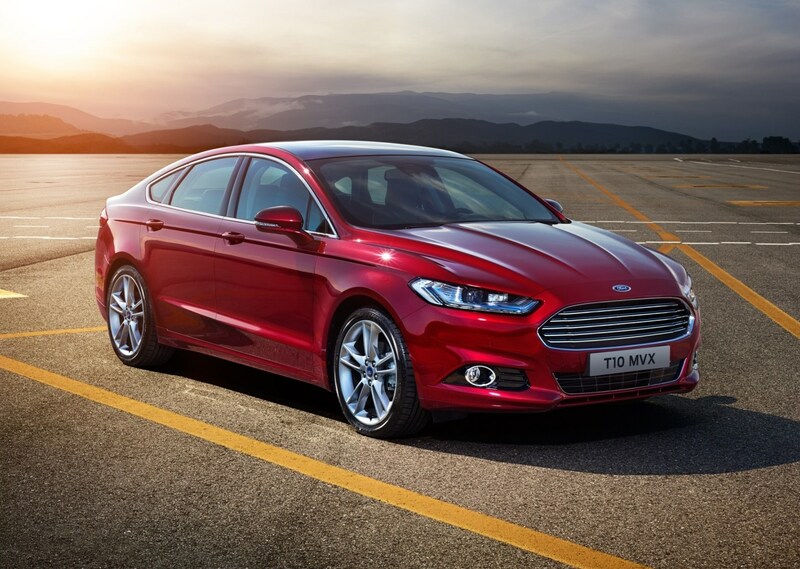 Offering more get-up-and-go is the 2.0 TDCi with 150hp and 370Nm of torque, in six-speed manual, front-wheel drive form. 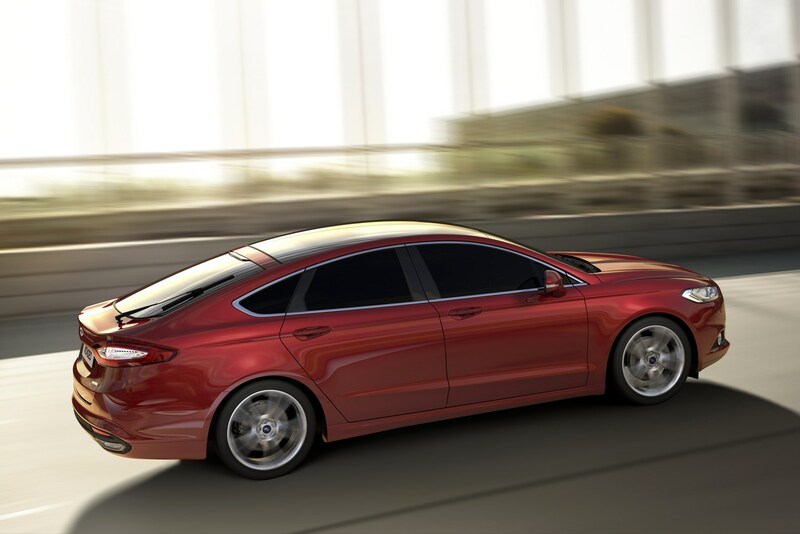 The 0-62mph sprint is completed in 9.3 seconds. 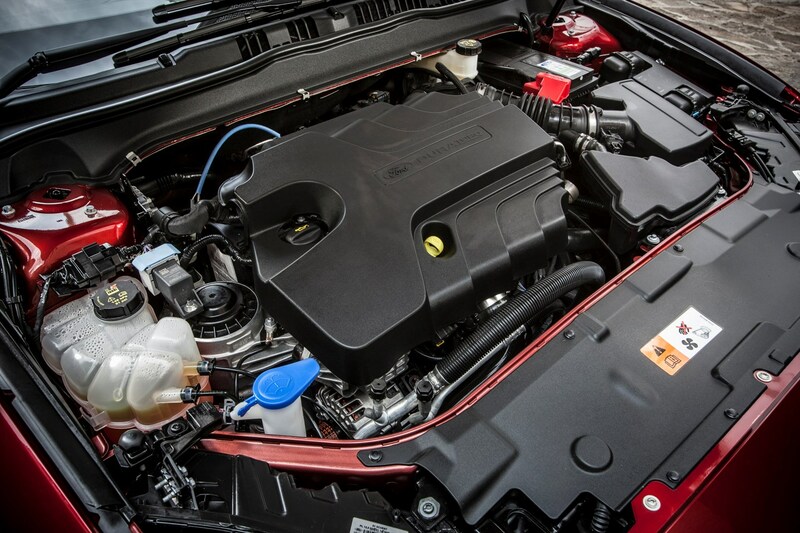 If you go for the eco-friendly Econetic version of this engine, torque is slightly lower at 350Nm, while 0-62 takes 9.4 seconds. 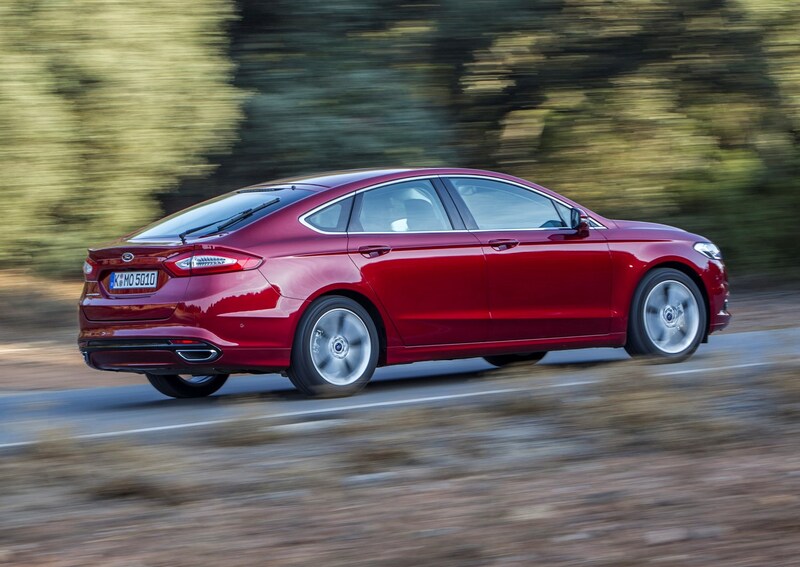 If you want this engine with all-wheel drive, Ford will oblige as long as you like manual gearboxes, and this version takes 10.3 seconds to go from 0-62mph. 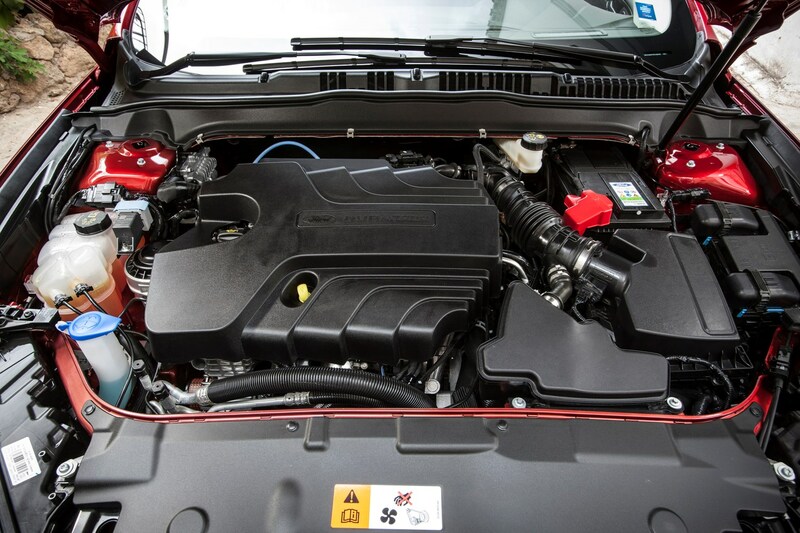 The final set-up for this engine is with a Powershift automatic gearbox, available only with front-wheel drive. 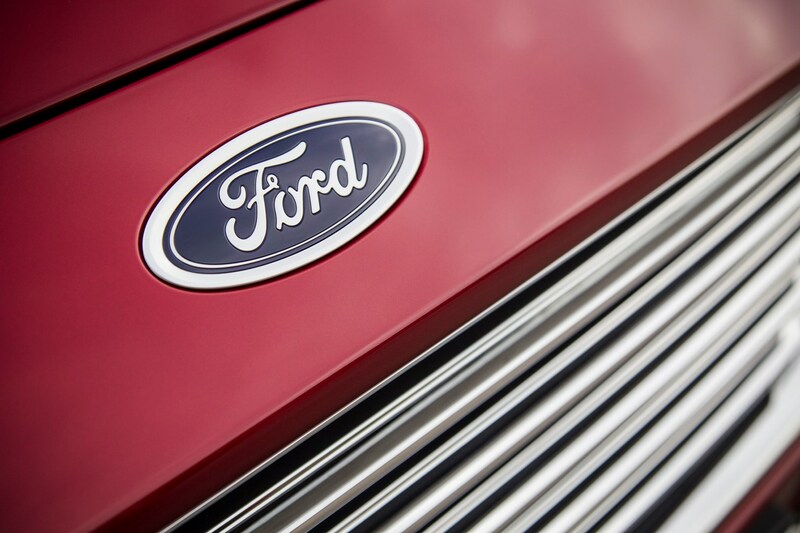 This version takes 9.9 seconds to go from 0-62mph, and will reach 132mph at the top end. 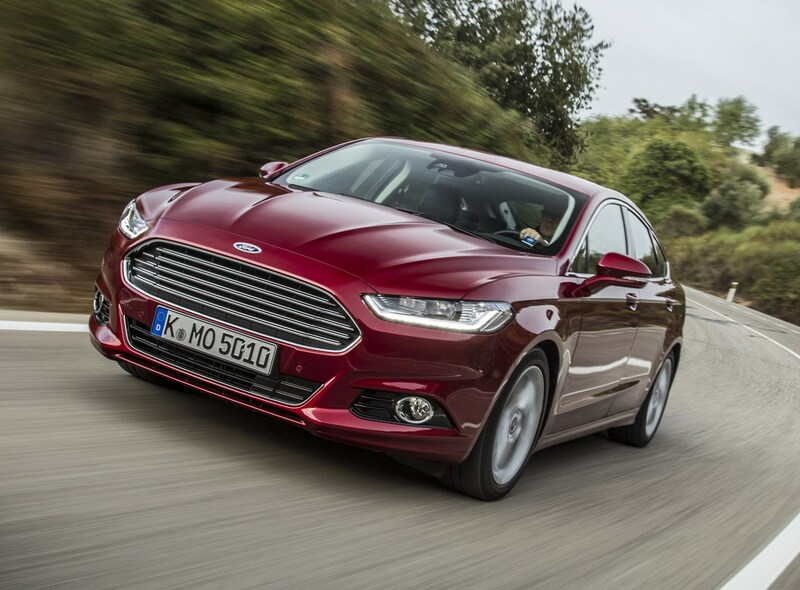 If you want more performance, the 180hp, 400Nm version of the 2.0 TDCi should suit. 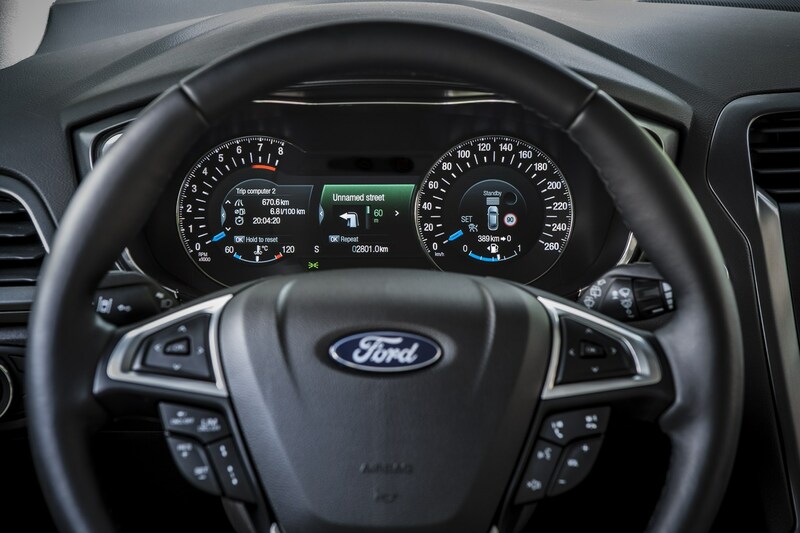 With front-wheel drive and a manual gearbox, this version will complete the 0-62mph sprint in 8.3 seconds, and will reach a 140mph top speed. 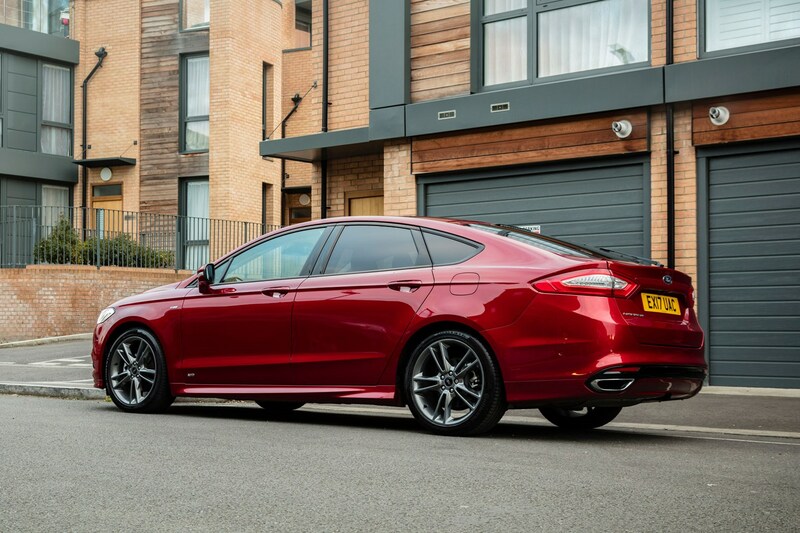 If you go for the Powershift auto (also with front-wheel drive), the 0-62mph time goes up ever so slightly to 8.6 seconds, while top speed is rated at 139mph. 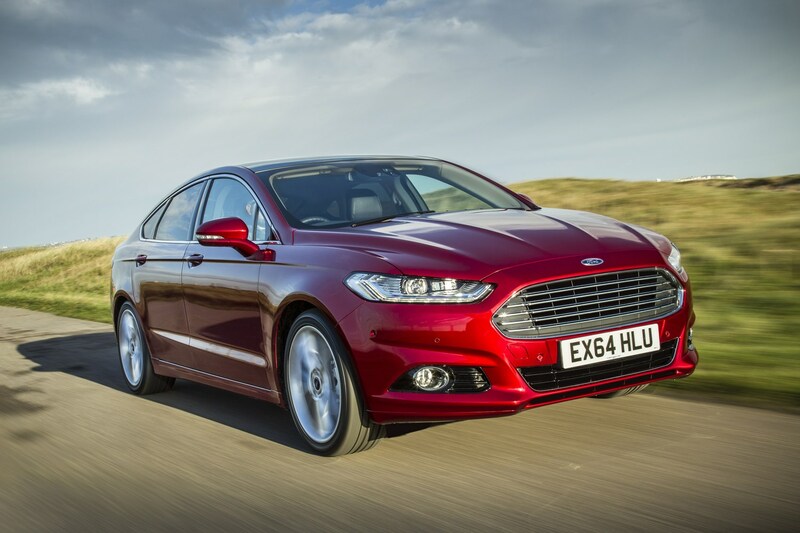 The Powershift auto is also available with all-wheel drive, taking 9.3 seconds to go from 0-62mph. 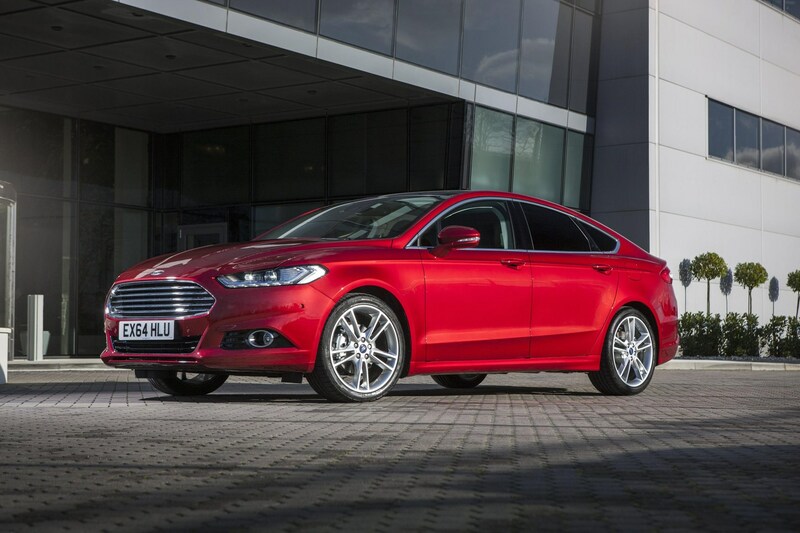 At the top of the diesel range is a twin-turbo 2.0 TDCi producing 210hp and 450Nm of torque. 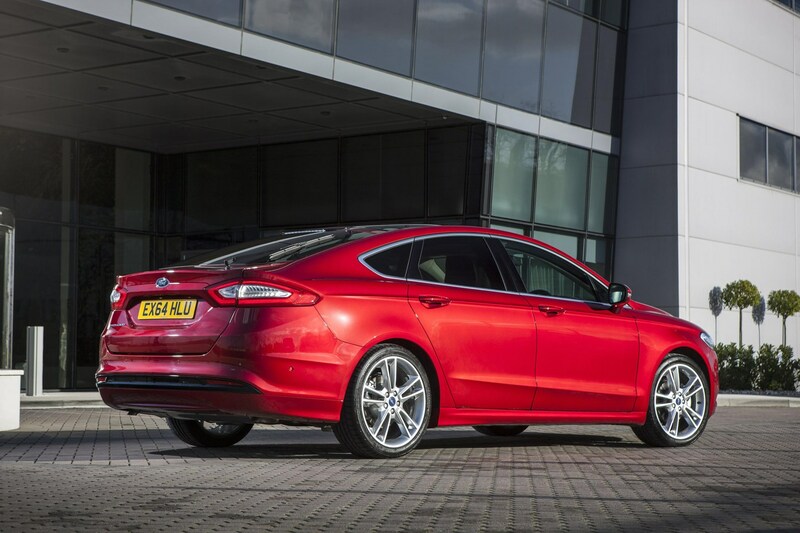 This engine is only available with front-wheel drive and a Powershift automatic gearbox, and offers up a 0-62mph time of 7.9 seconds. 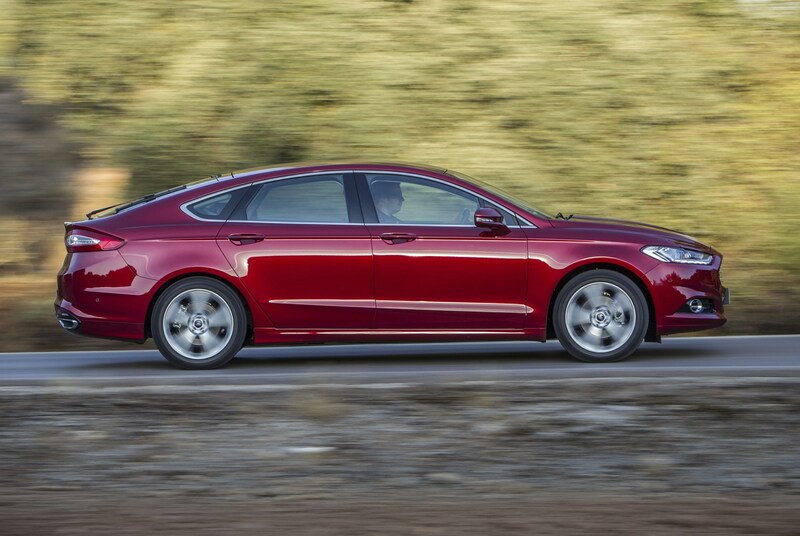 Top speed is 145mph. 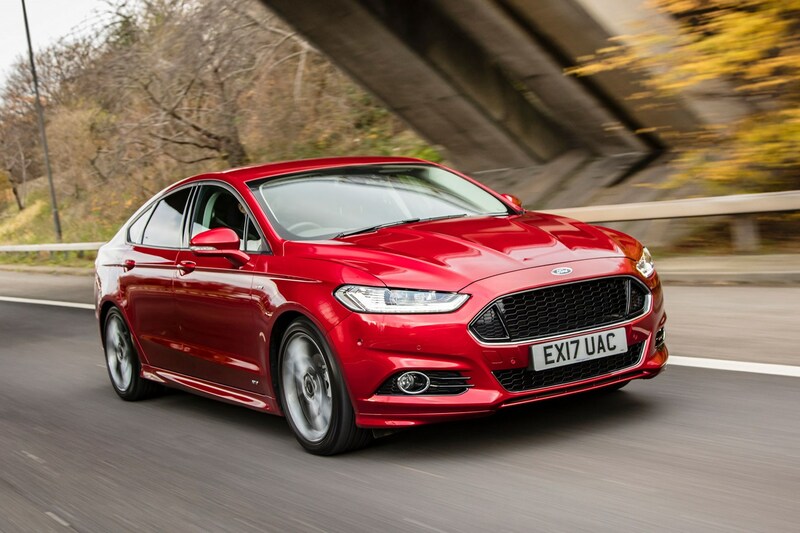 The Mondeo can struggle to put all this power and torque onto the road through the automatic gearbox, but once up to speed, the reserve of shove makes it a very effective motorway mile-muncher, and it remains hushed at all times. 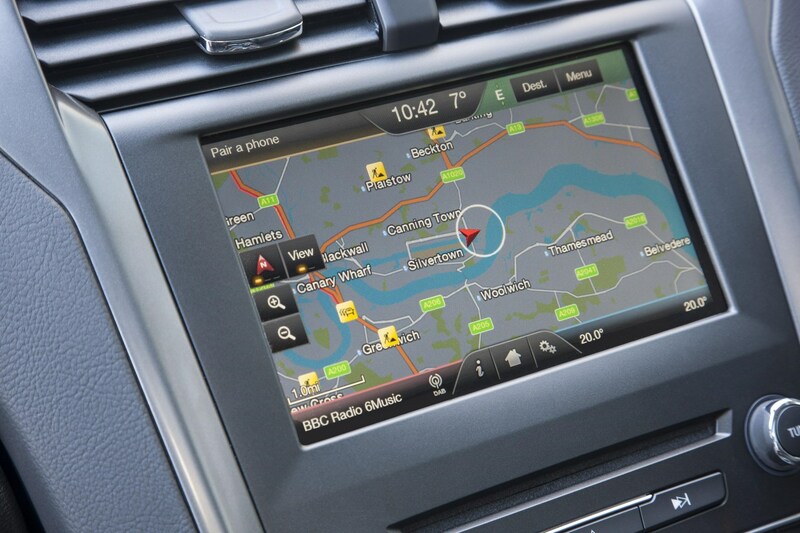 It gathers pace in a non-dramatic fashion, but surprises with its quick responses if you knock the gearbox into S mode. 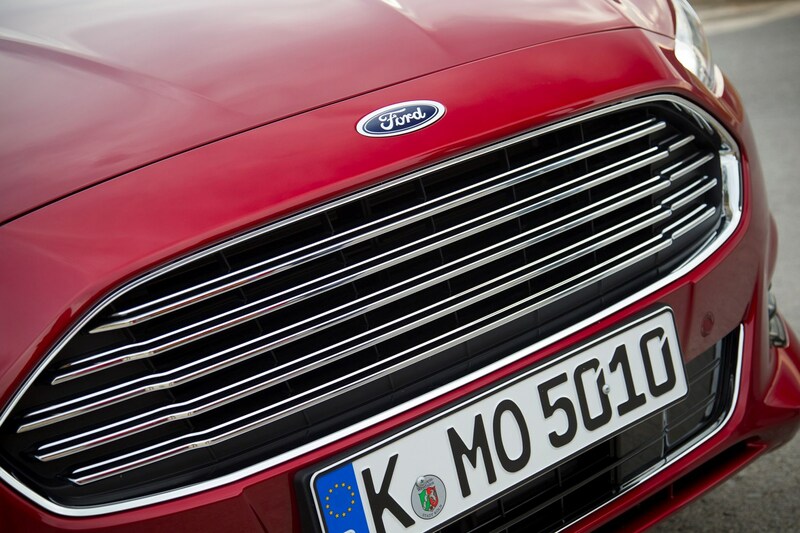 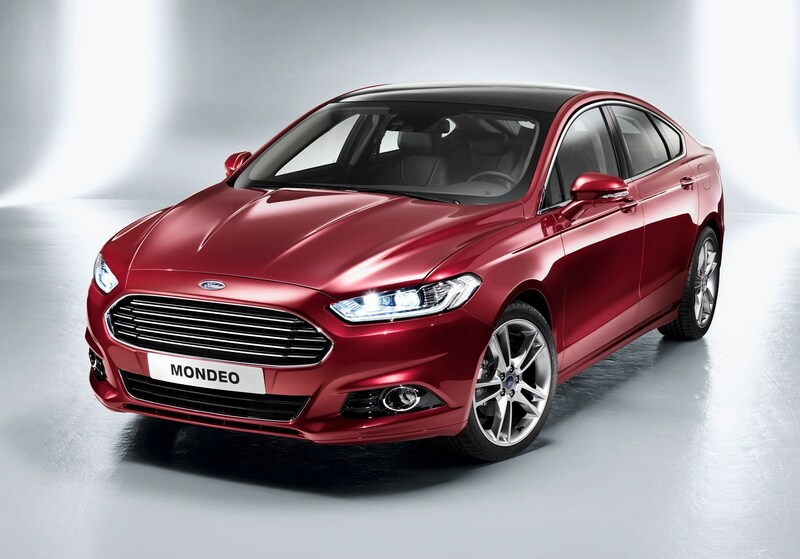 Petrol power accounts for a much smaller portion of Mondeo sales, but you still get a good amount of choice. 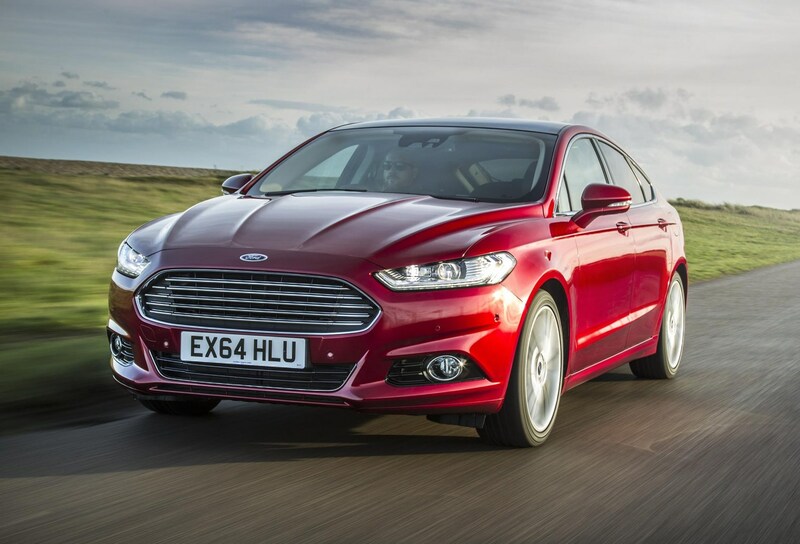 The range kicks off with a 1.0-litre EcoBoost three-cylinder nabbed from the Fiesta and Focus in 125hp form. 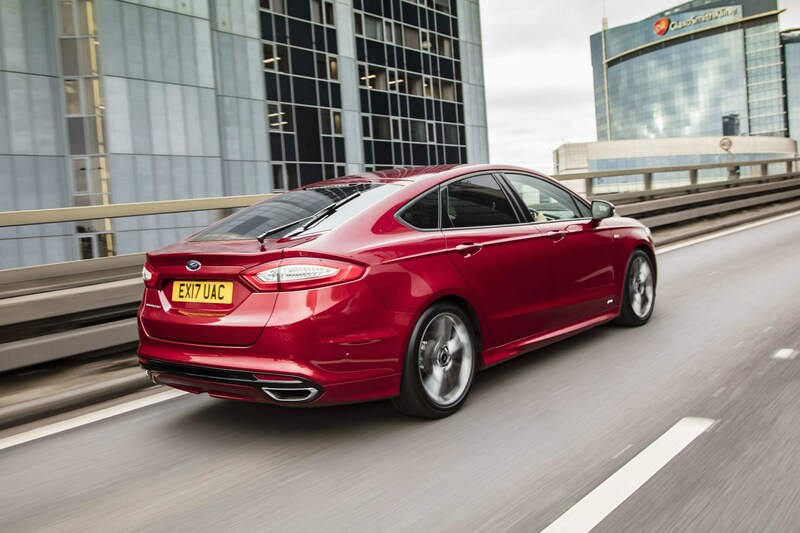 Torque is rated at 170Nm, while the 0-62mph time of 12.0 seconds and a top speed of 119mph won’t set pulses racing. 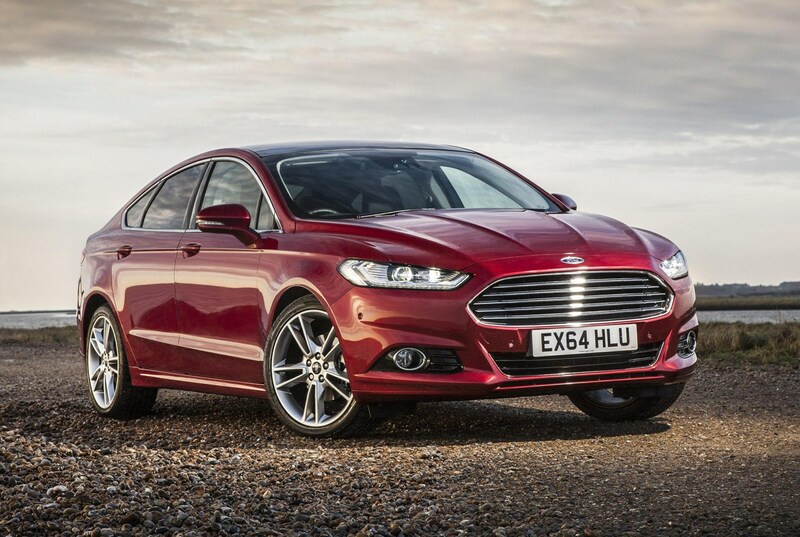 You need to work this engine hard to get the big Mondeo going. 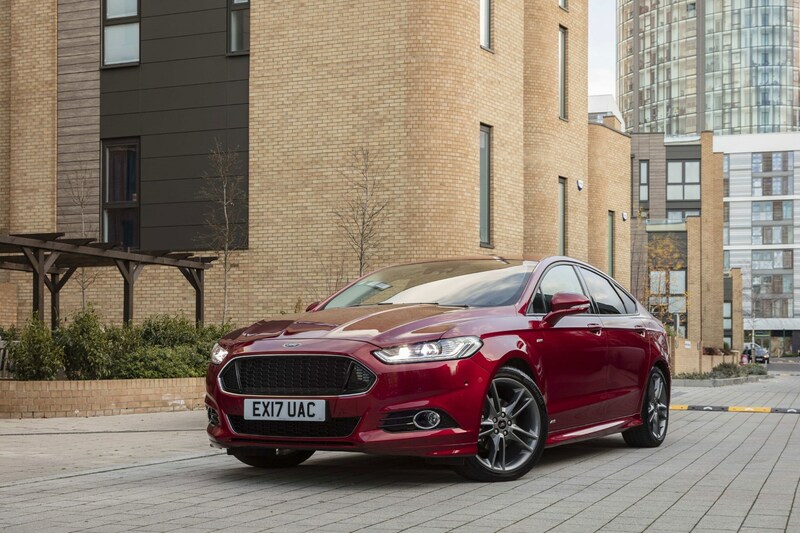 Offering more on-paper performance is the 1.5-litre EcoBoost with 165hp and 240Nm for a 0-62mph time of 9.2 seconds and a 138mph top speed. 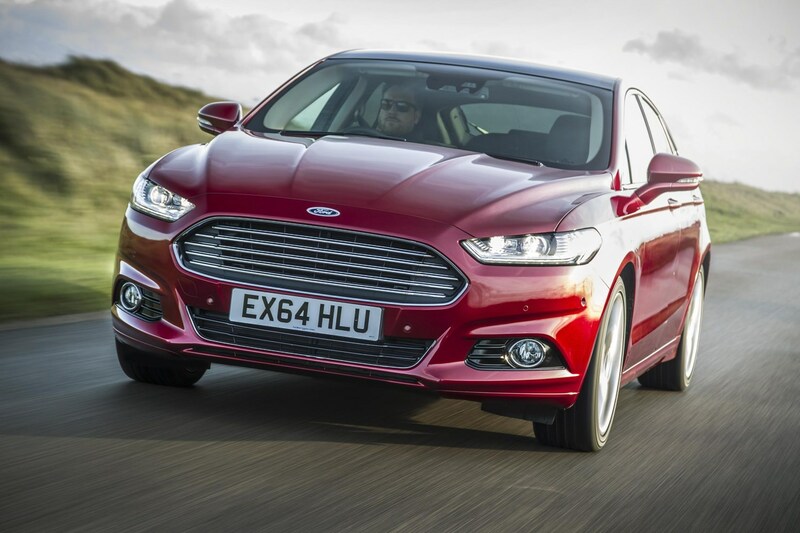 On the road this engine doesn’t feel as flexible as that torque figure suggests, requiring frequent flicking of the six-speed manual gearbox from one ratio to another, but again its subdued note doesn’t intrude much into the Mondeo’s cabin. 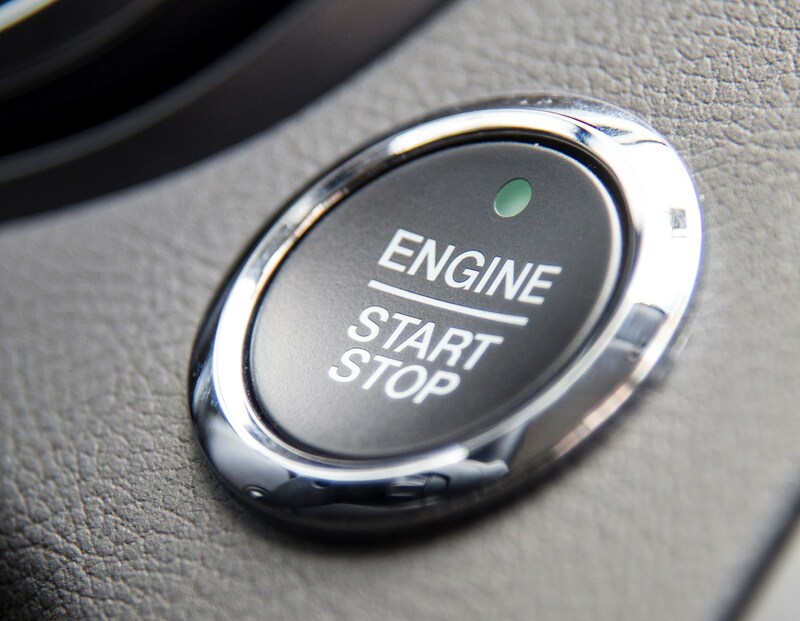 This engine can also be equipped with an optional six-speed automatic, shaving off 0.1 seconds from the sprint to 62mph from a standstill, while top speed drops to 133mph. 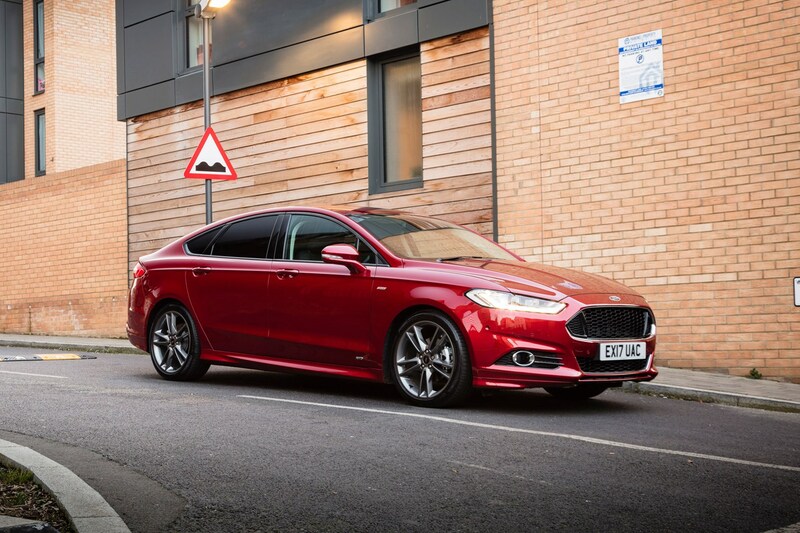 If outright speed is your concern, then you need to pay attention to the 240hp 2.0-litre EcoBoost, only available in higher-spec trims and exclusively with the six-speed automatic gearbox. 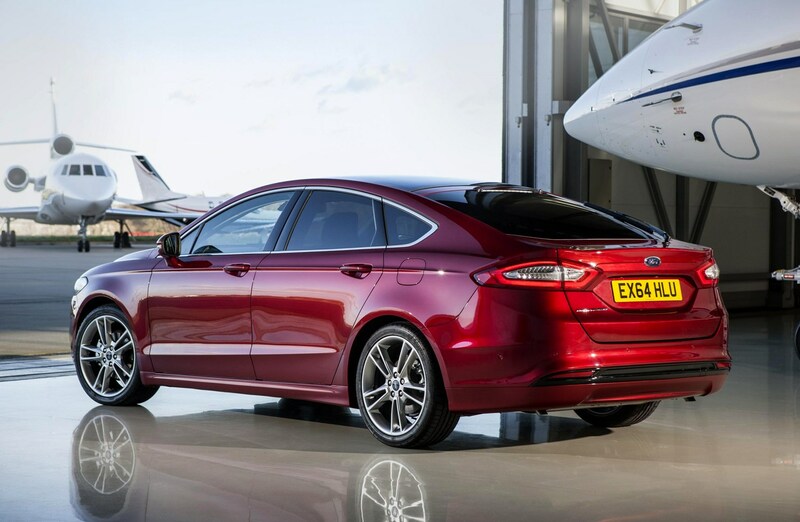 It’ll reach 149mph all out and hit 62mph from nothing in 7.9 seconds, which sounds quick for a family car, aided by 345Nm of torque from 2,300rpm, but you’ll pay the price with much lower fuel economy claims compared with the diesels. 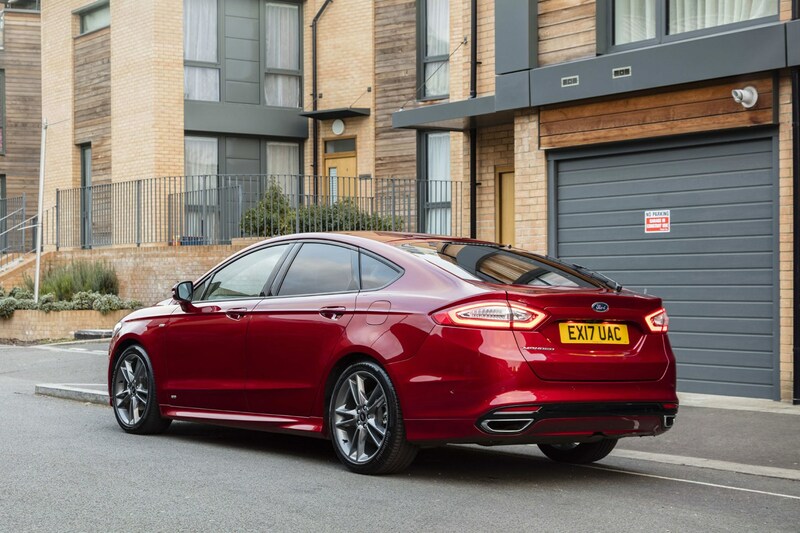 If you must have a hybrid Mondeo, be prepared to shell out for a high-spec model in the not-so-popular four-door saloon body style. 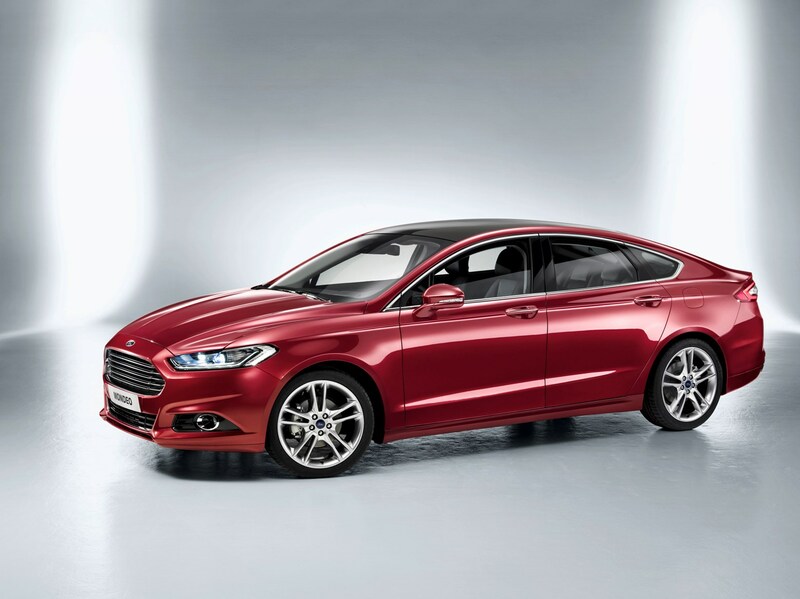 This version uses a 2.0-litre petrol engine combined with an electric motor to provide propulsion. 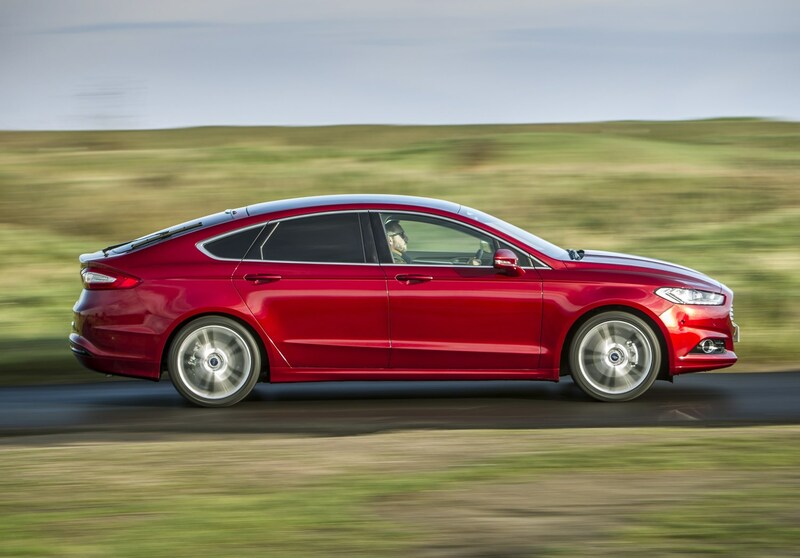 It takes 9.2 seconds to complete the 0-62mph sprint, while it’ll go on to reach a 116mph top speed. 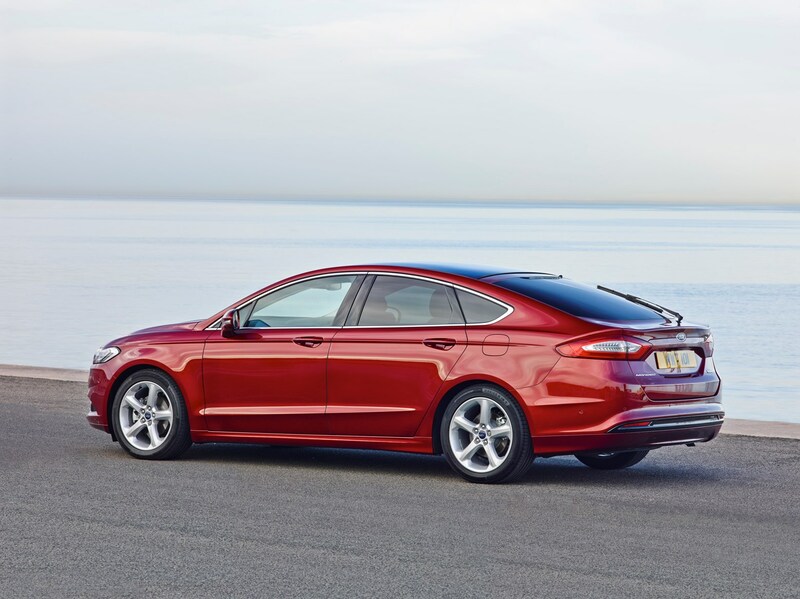 However, if you try to replicate these, you won’t see the fuel economy benefits of running a hybrid. 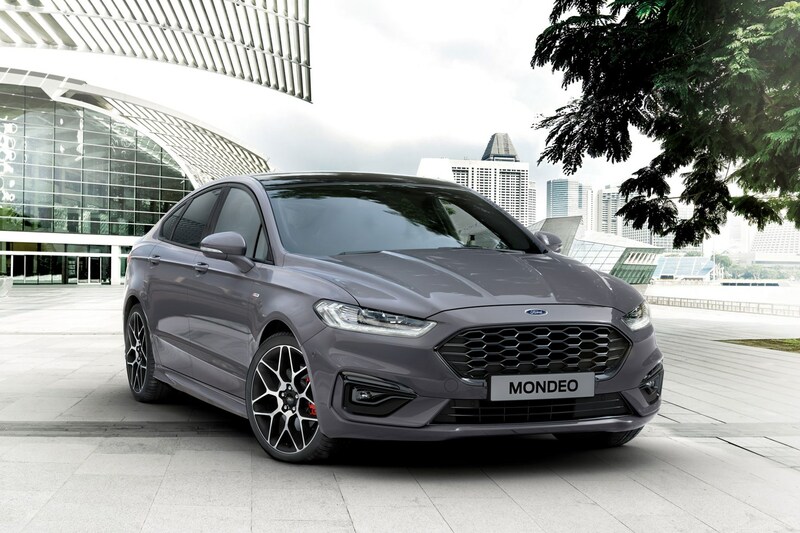 With 187hp, it’s one of the more powerful Mondeos, but the torque figure of 173Nm means it offers the lowest amount of torque (aside from the 1.0 EcoBoost) in the range. 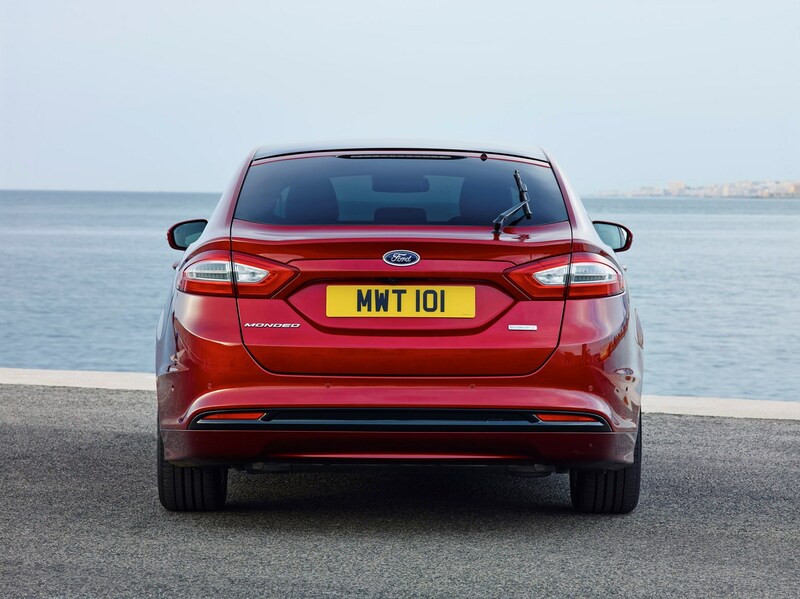 Early in 2019, Ford added to its diesel range with the new 2.0-litre EcoBlue units, available in two power outputs. 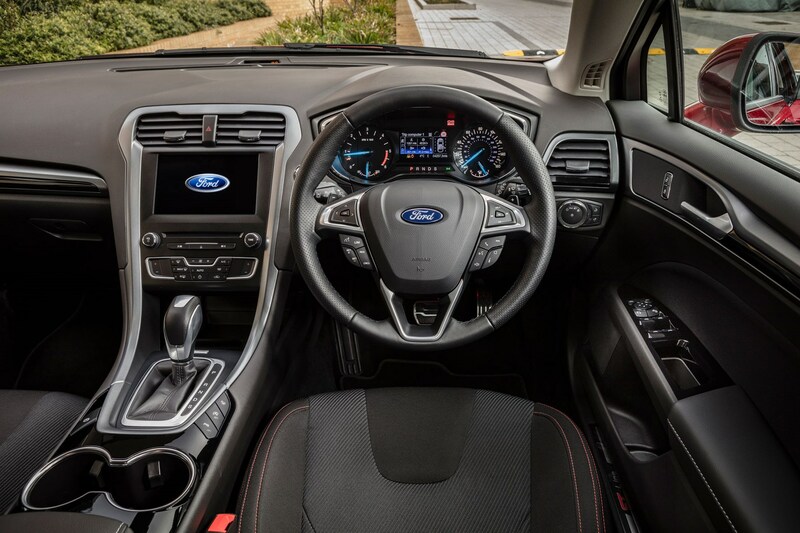 There's a choice of 150hp or 190hp, both available with a choice of six-speed manual or new eight-speed automatic gearbox - controlled via a rotary dial instead of traditional lever. 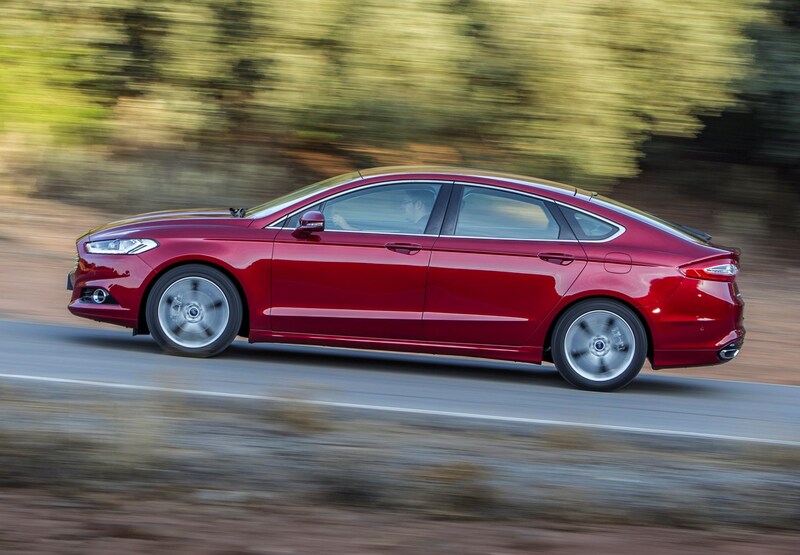 All-wheel drive is also available on both of these engines at extra cost. 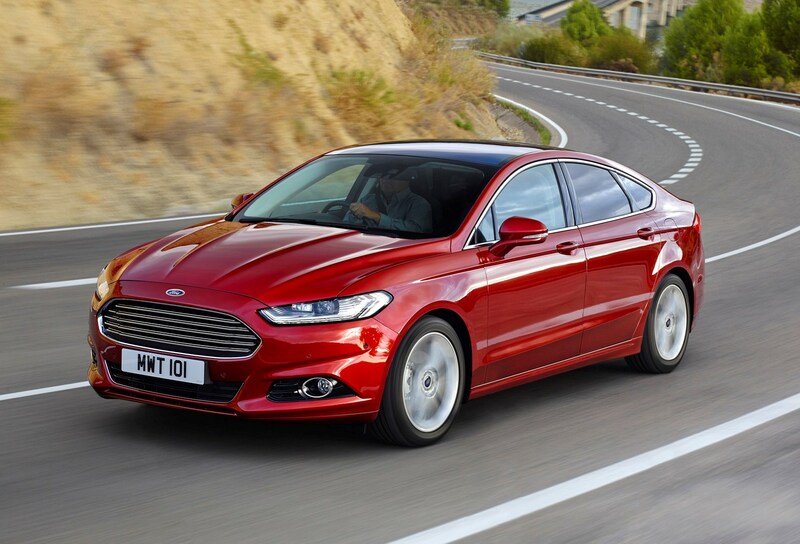 At launch, an economical Econetic 1.6-litre TDCi producing 115hp and a useful 270Nm of torque was available. 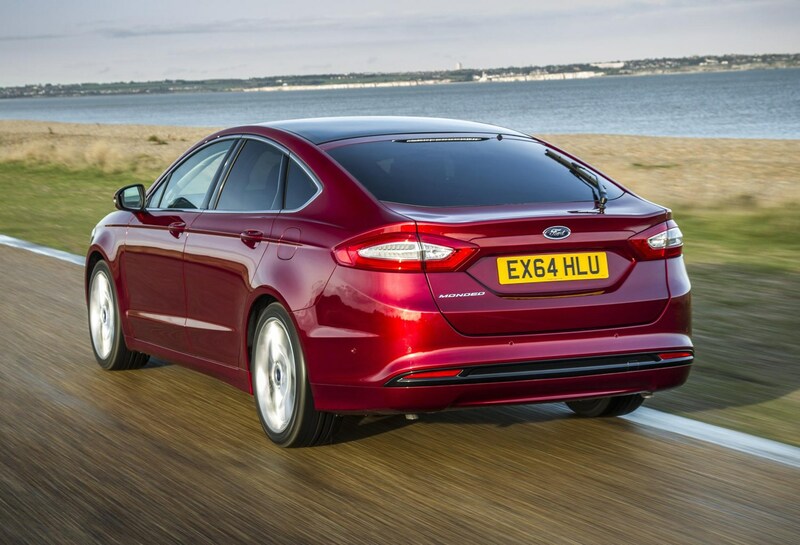 Unsurprisingly with a top speed of 119mph and completing the 0-62mph sprint in a leisurely 12.1 seconds it was the slowest Mondeo hatchback available, but mated to a six-speed manual gearbox it was also the most economical too, posting a claimed average of 78.5mpg with CO2 emissions of just 94g/km. 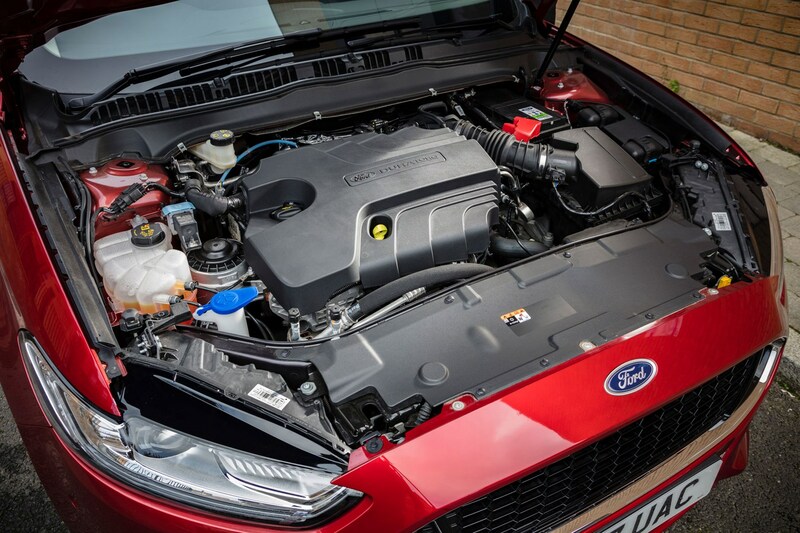 This engine has since been replaced by the 1.5-litre TDCi, which serves up similar performance figures. 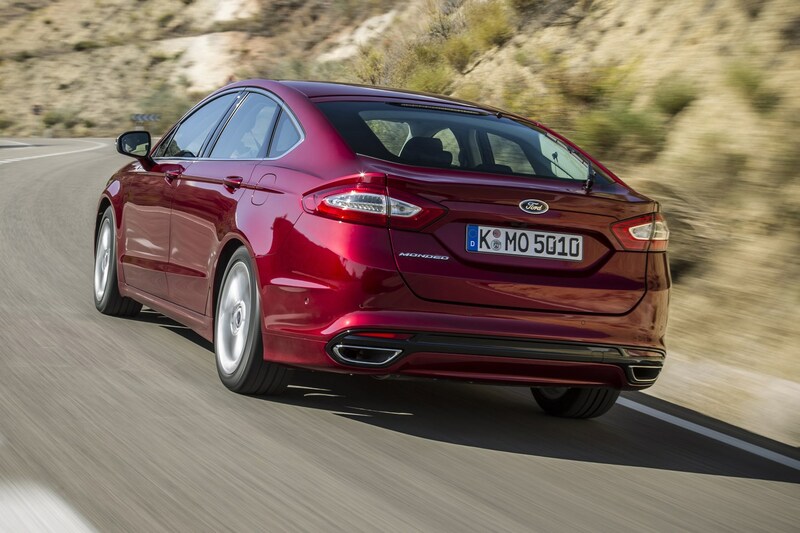 Despite the entire engine range being turbocharged, it’s done to improve overall efficiency rather than allow Ford Mondeo performance to scintillate. 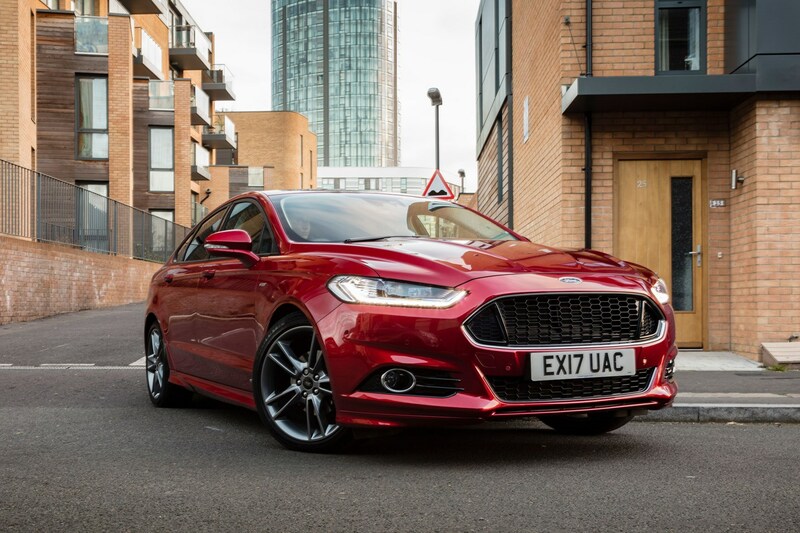 One Ford Mondeo characteristic that’s been a hallmark since the original debuted in 1993 is the keen and engaging handling, although it has to be noted that while the responsiveness of each generation has improved, the enjoyment the driver senses is slightly diluted. 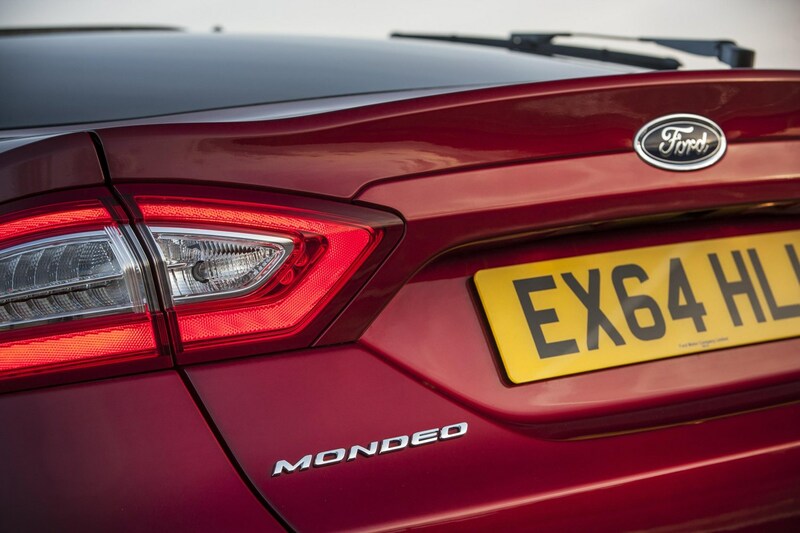 This trend’s continued with the latest Mondeo too, which handles with greater agility and nimbleness than its size suggests is likely, yet enthusiastic drivers will lament that the experience feels slightly anaesthetised. 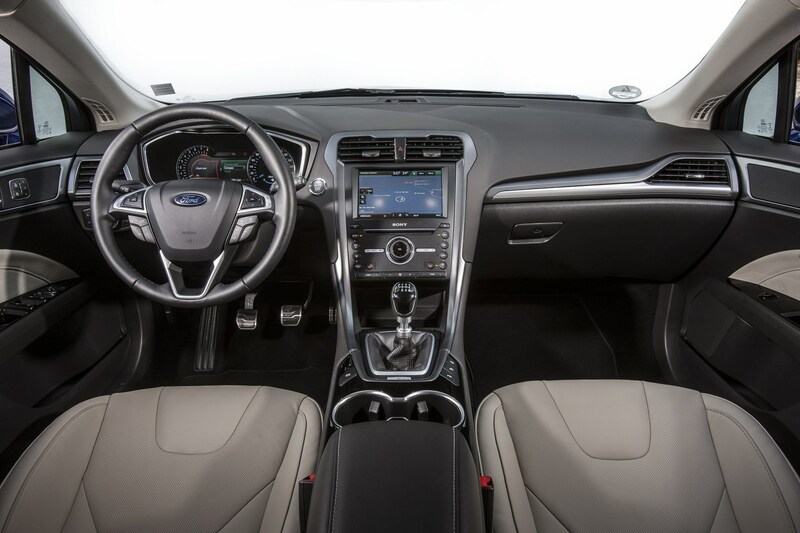 Fitting electric, rather than hydraulic, power steering is the key reason. 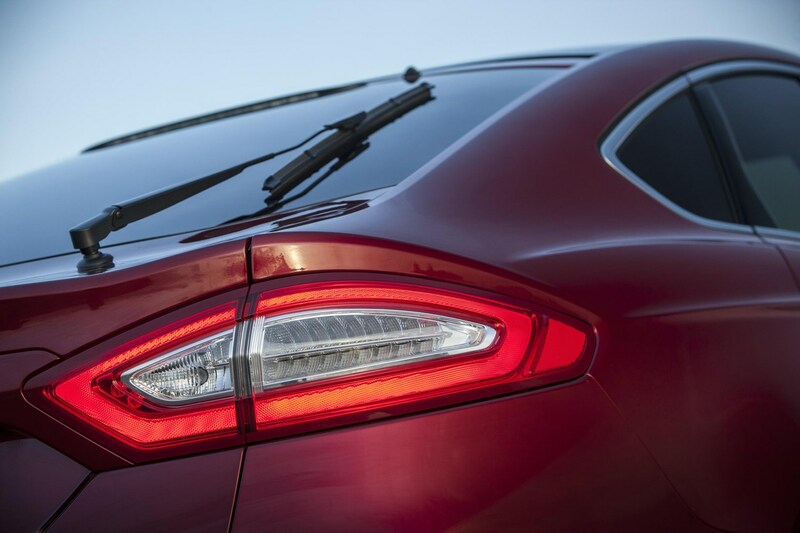 There’s no doubting its accuracy, grip and willingness to change direction, going exactly where you want it. 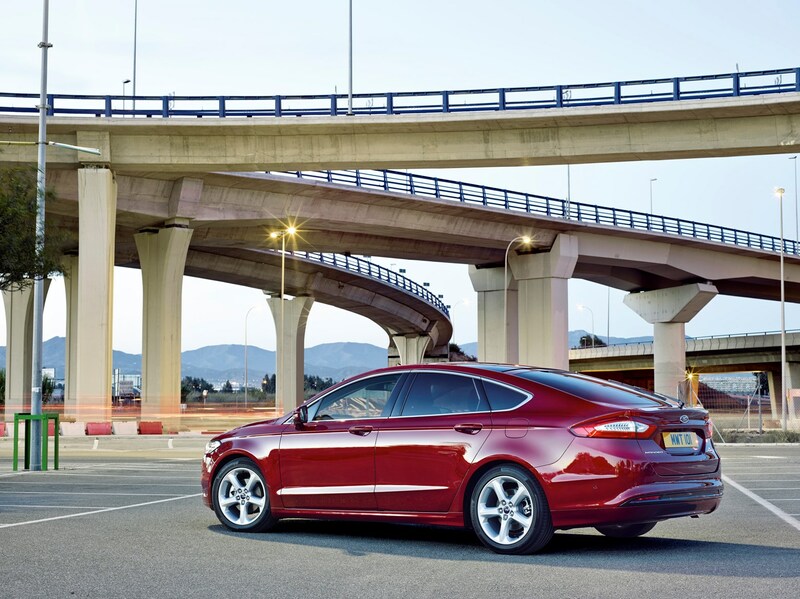 Understeer, where the car pushes wide in a corner, only occurs when you carry an ambitious amount of speed into a bend. 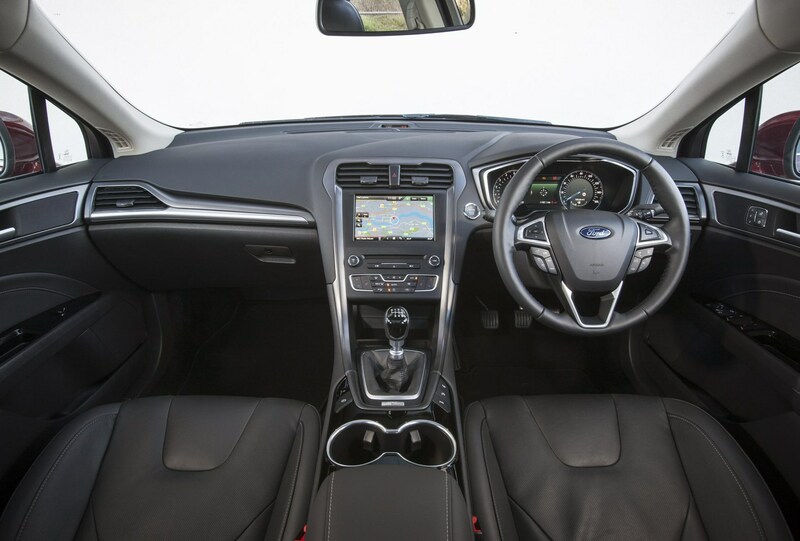 But there’s less sensation of what the front end is up to coming through the steering wheel as well. 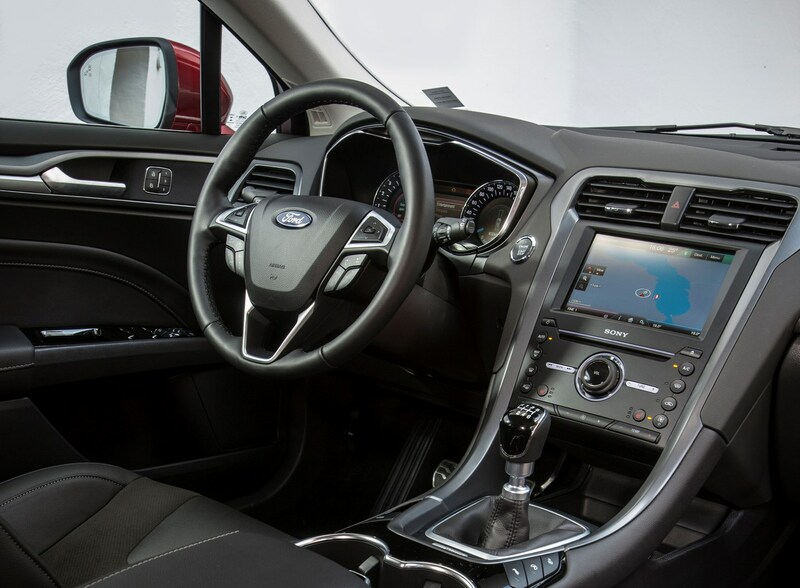 Many drivers might also find the steering lighter than expected too, which is great for low-speed urban driving, but is less engaging on twisty B-roads. 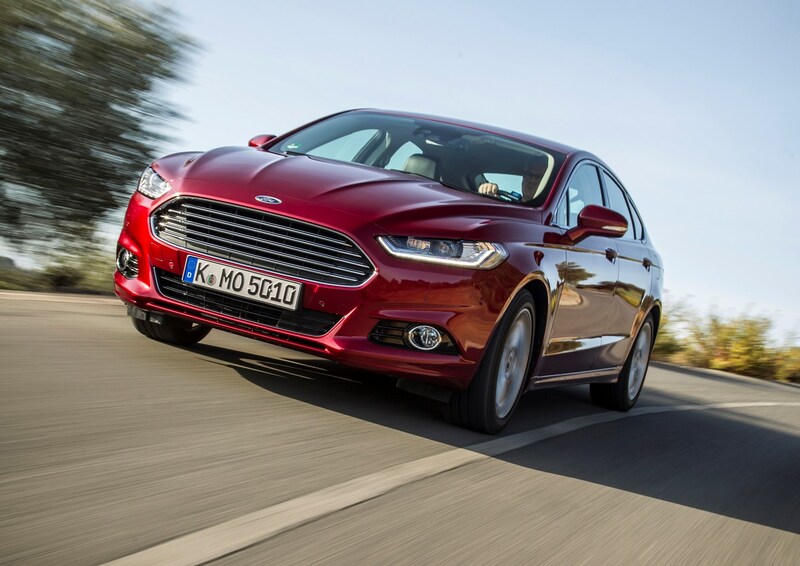 Whether over billiard table-smooth fresh asphalt or seen-better-days surfaces, the Mondeo rides well, with composed body control, reducing the floaty sensation some larger cars suffer. 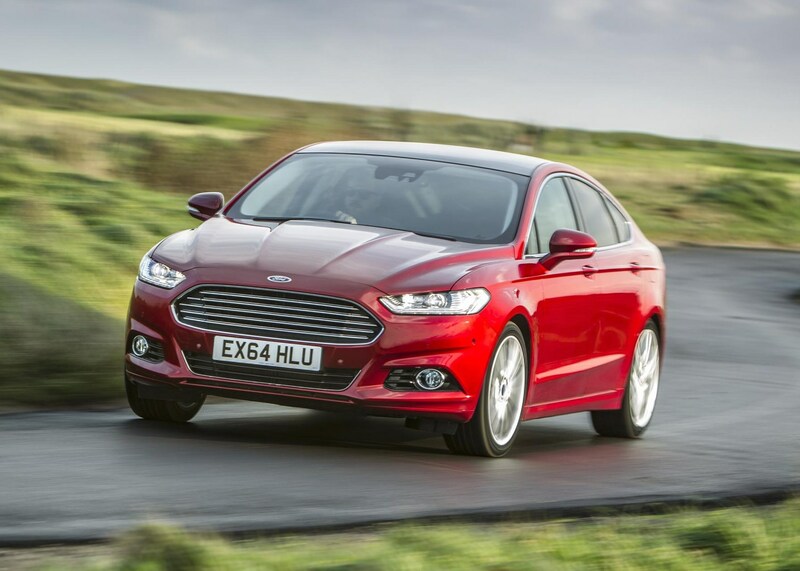 No adaptive suspension option is available in the UK but the standard set-up works well. 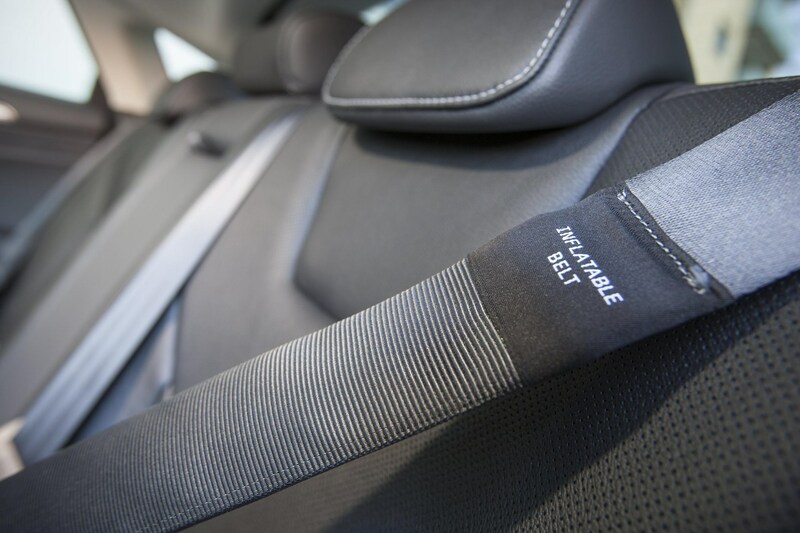 You do feel the initial bump or ridge you’ve driven over, but it’s softened and unlikely to trouble passengers significantly. 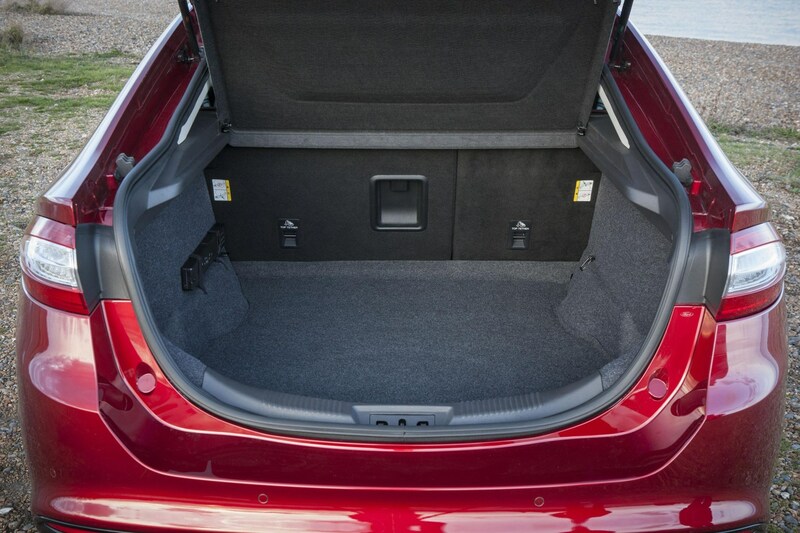 Roll through corners is also kept to a minimum too allowing you to maintain good progress without applying the brakes too much on windier roads. 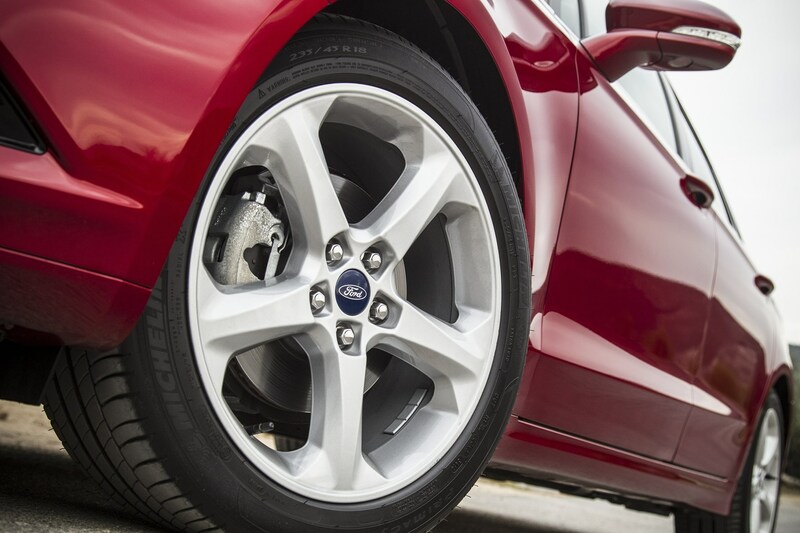 The brakes themselves work effectively, with little signs of fading even after repeated, heavy application. 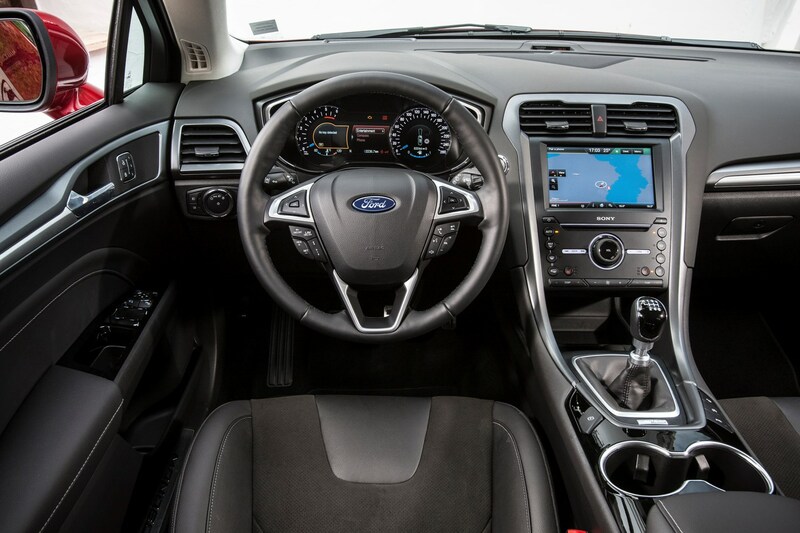 Unlike the steering, the pedals feel well-weighted and there’s a slick, well-engineered shift action to the manual gearboxes. 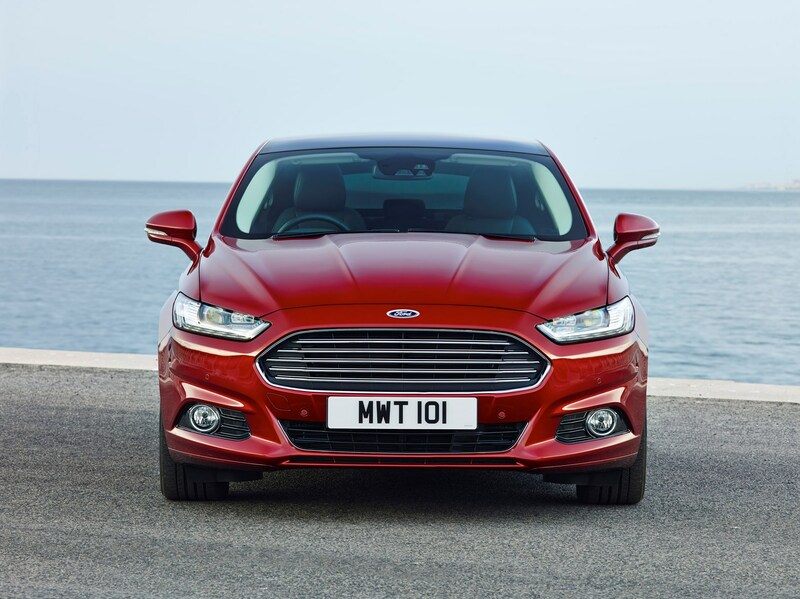 All of which means that the Mondeo is refined, composed and comfortable, just lacking the sparkle that attracted keen drivers in the past. 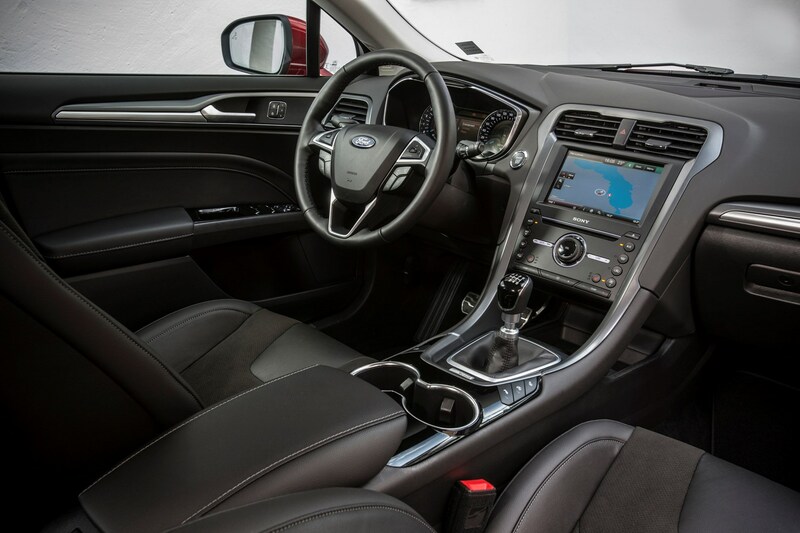 Rather like the pleasing but evolutionary theme of the exterior, the Ford Mondeo’s interior breaks little new ground stylistically. 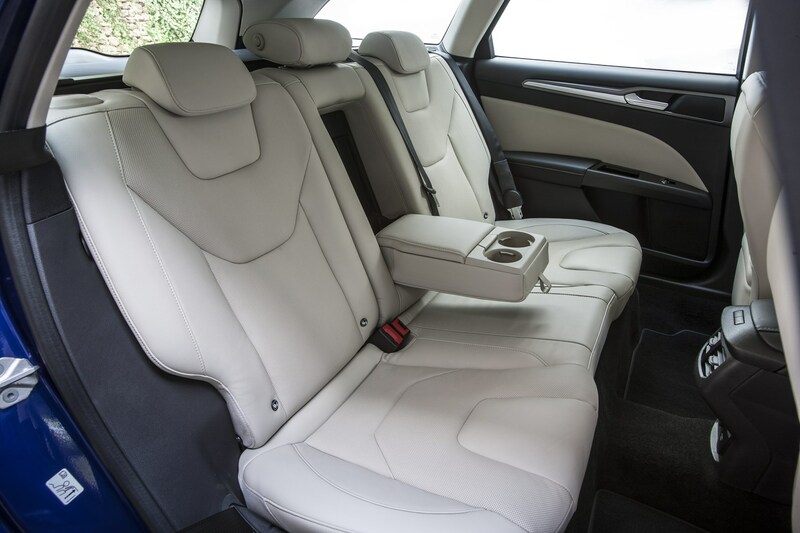 Many panels are formed from soft-touch mouldings reinforcing the premium feel as well as further helping deaden sound and reduce rattles. 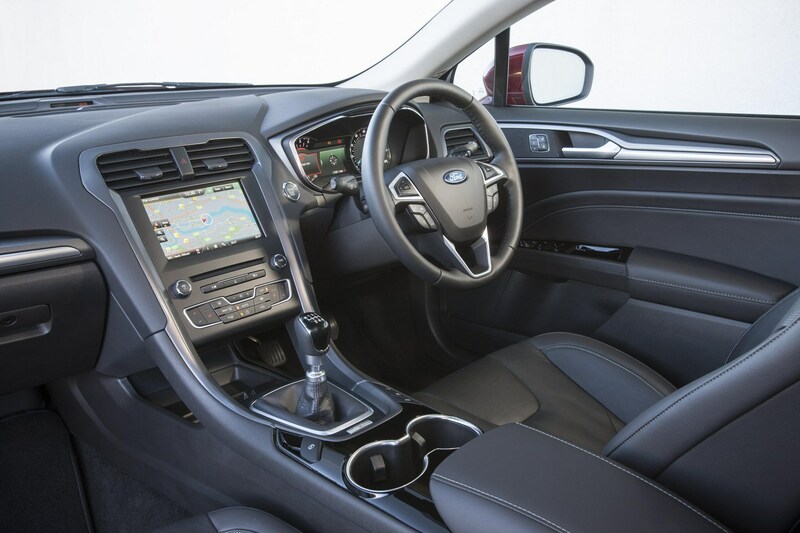 The centre console features a variety of circular push buttons for the switchgear, which all look identical but are clearly labelled and easily understood once you’ve spent a little bit of time behind the wheel. 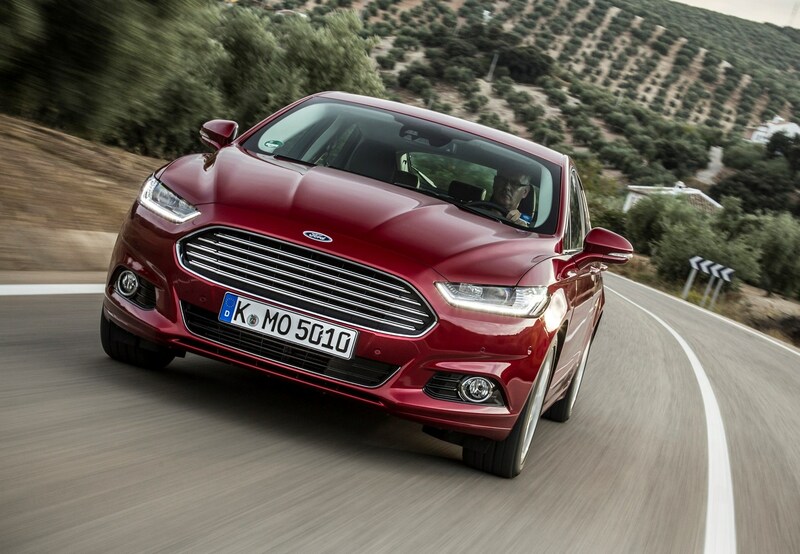 The remaining physical controls work well too, precise in their actions and robust without feeling too workmanlike. 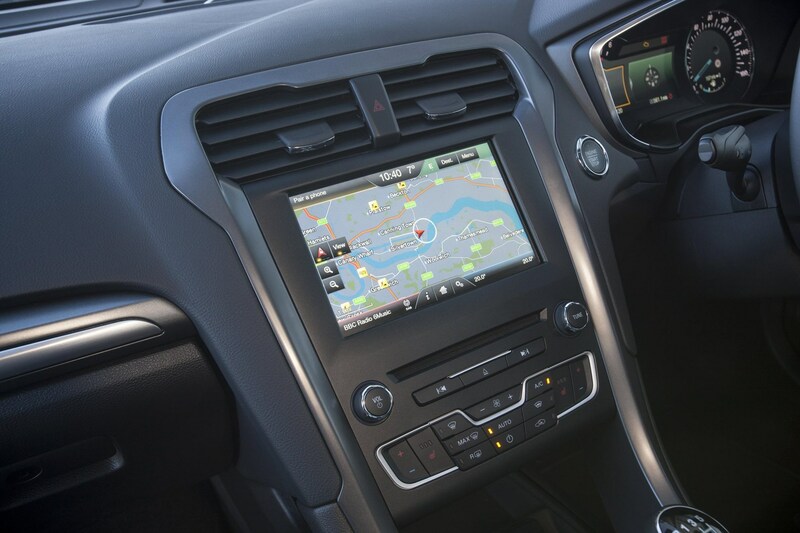 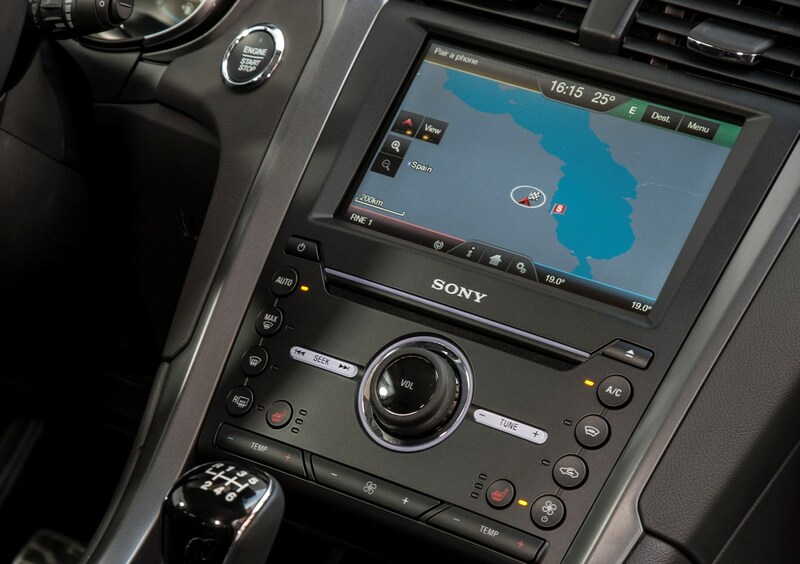 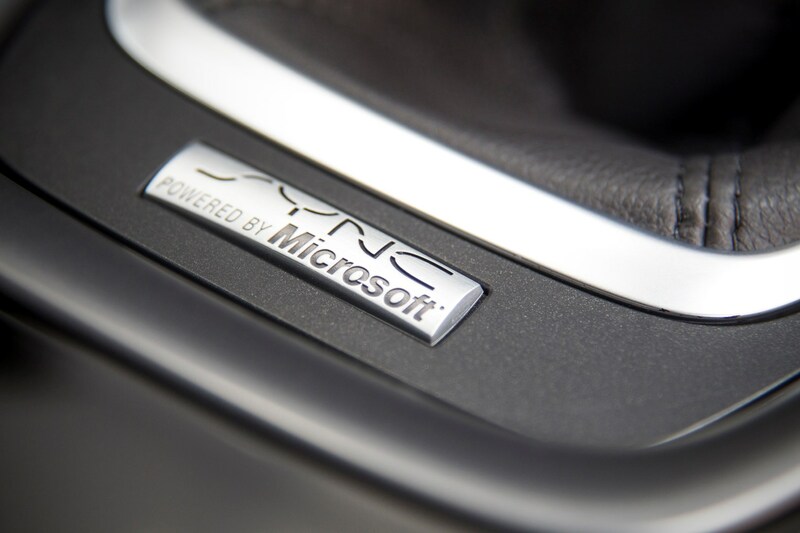 Dominating the centre console is the 8.0-inch touchscreen for the Sync3 infotainment system, which usefully is blessed with crisp graphics, unambiguous text and coloured themes for each of its functions. 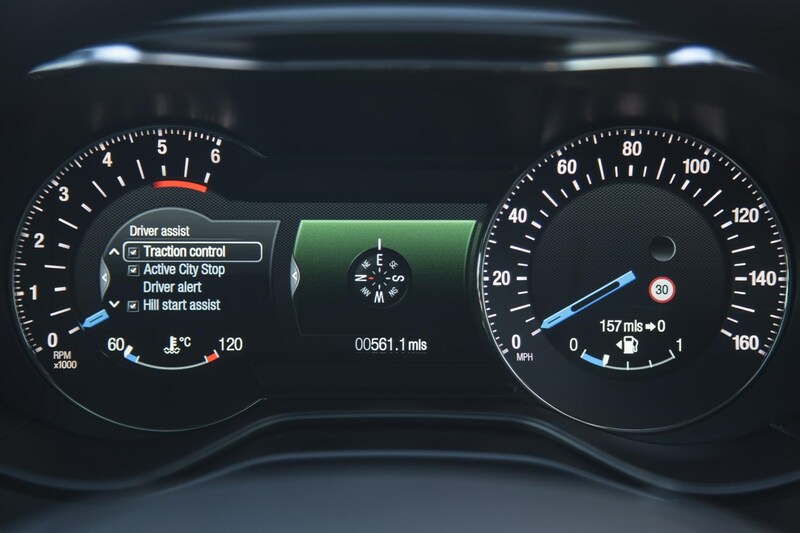 Higher-spec models also have a combined analogue and digital instrument cluster displaying various details such as trip information, sat-nav instructions and traffic signs in a dynamic way. 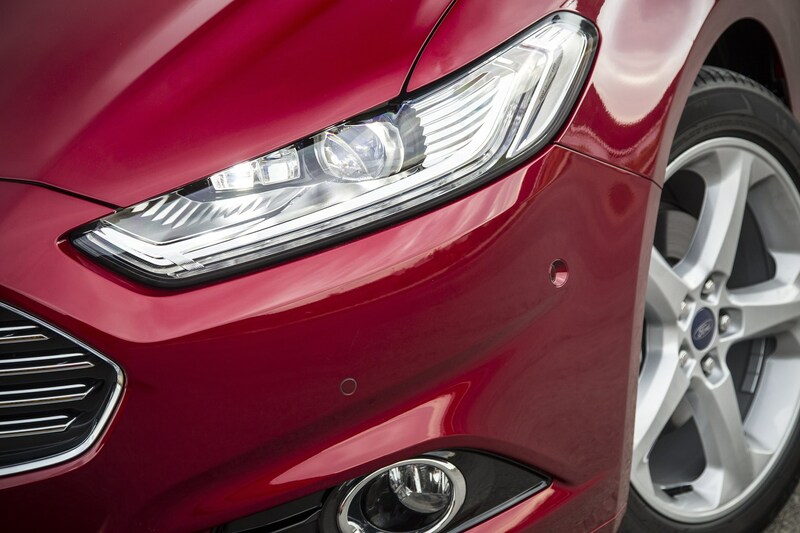 Forward visibility is good, allowing you to position the car well on the road but a lack of standard parking sensors, let alone a reversing camera – it’s difficult to judge the car’s extremities – can make it tough to park with confidence, especially as the rear slopes fairly dramatically. 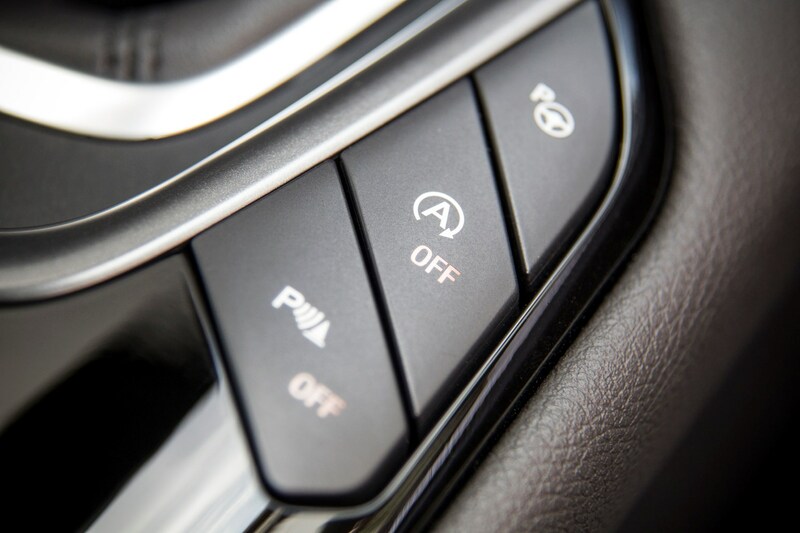 We’d recommend at least specifying the optional sensors. 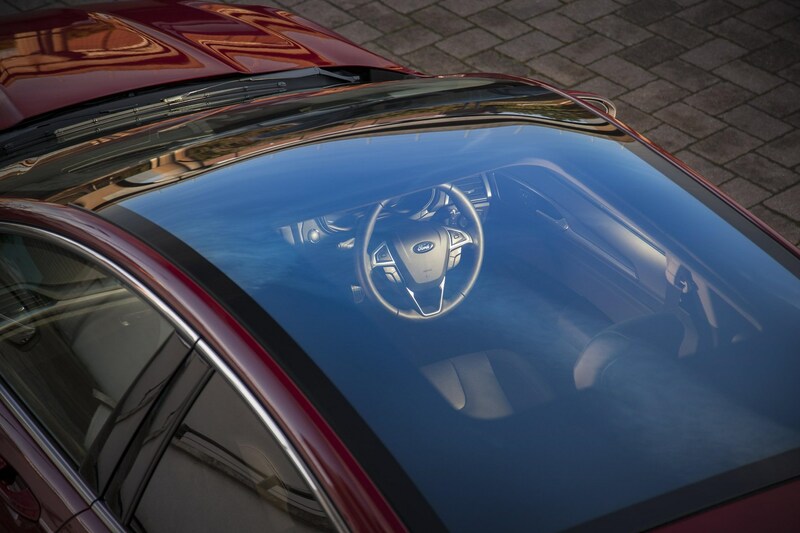 Mounting the mirrors on pillars from the doors themselves affords a greater view of traffic conditions behind, although taller drivers may find the meeting point of the thick windscreen pillar and the front corner of the roof creates a blind spot when crossing oncoming traffic. 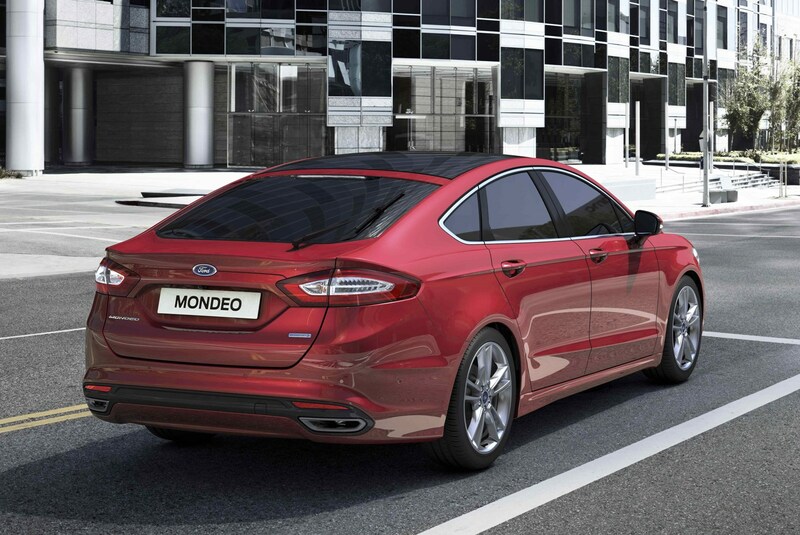 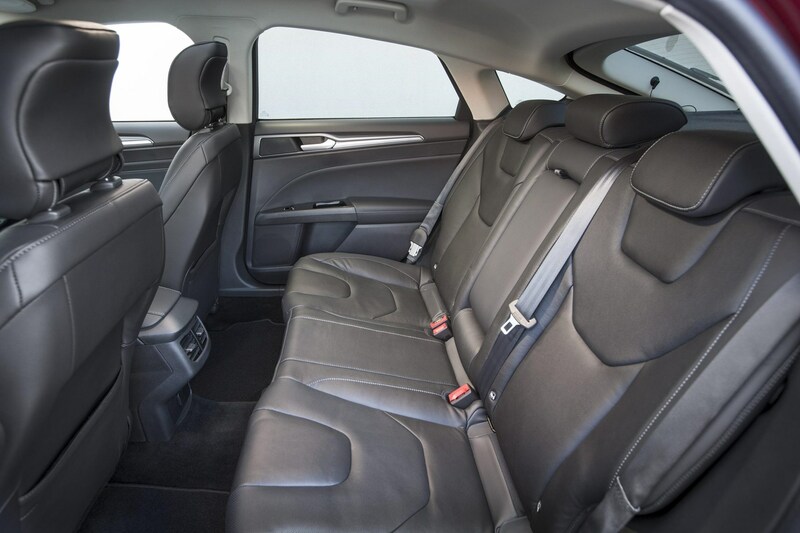 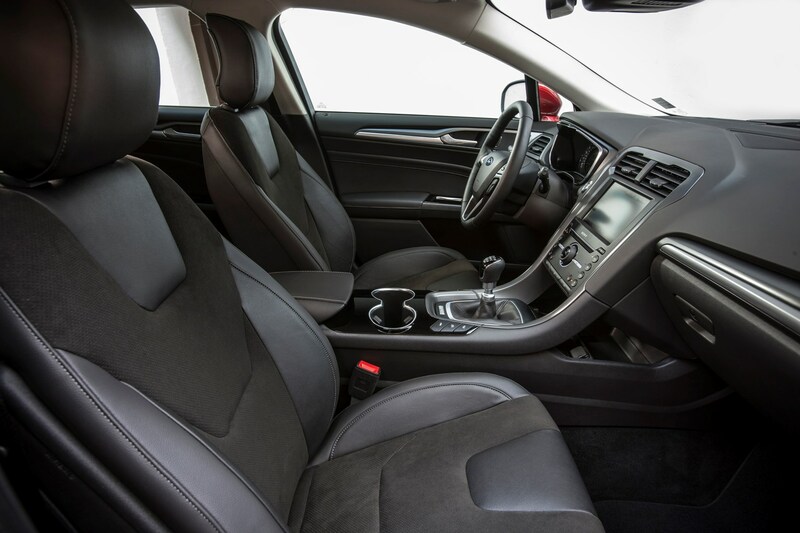 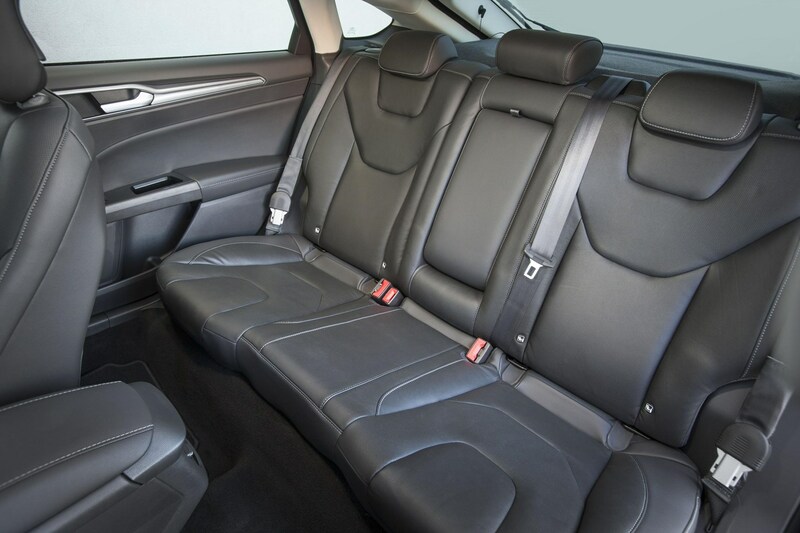 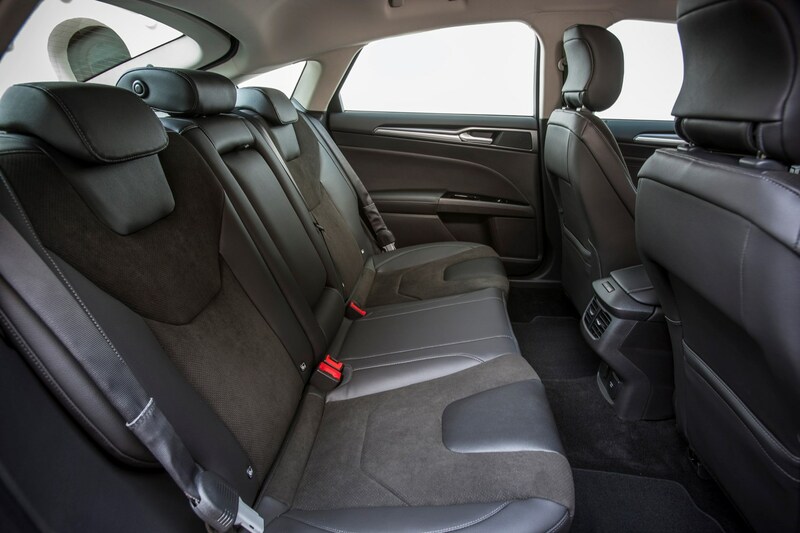 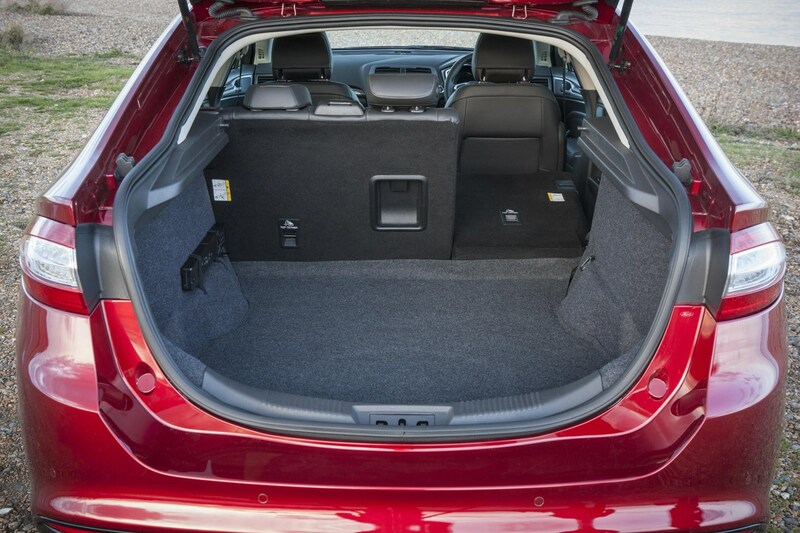 With space to luxuriate in, high quality materials and a well-controlled ride quality, the Mondeo’s comfort levels are a particular area of strength. 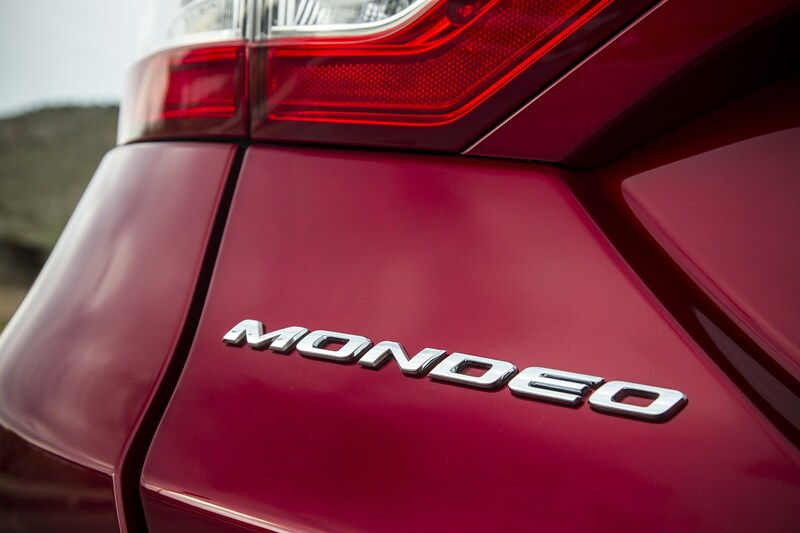 That further boost in refinement makes the car feel more isolated from the outside world, which conflictingly is why it feels a little less satisfying to drive. 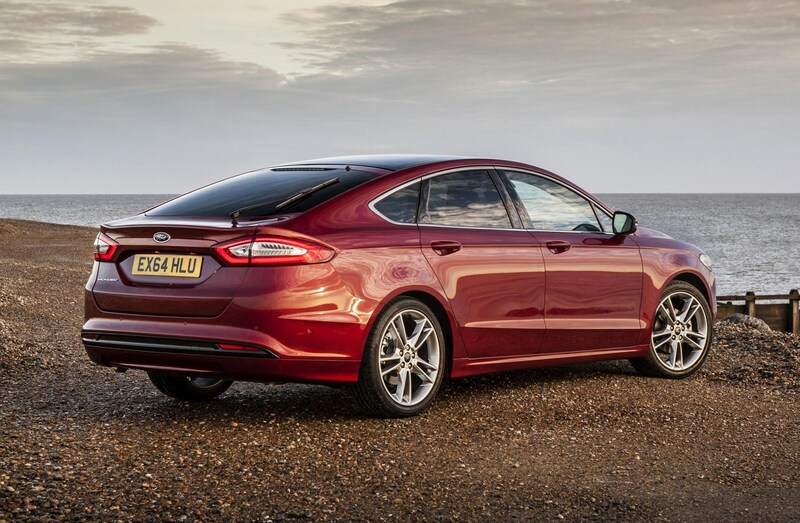 That said, with minimal body roll and fine body control, the Mondeo remains composed and doesn’t float over long undulations in road surfaces. 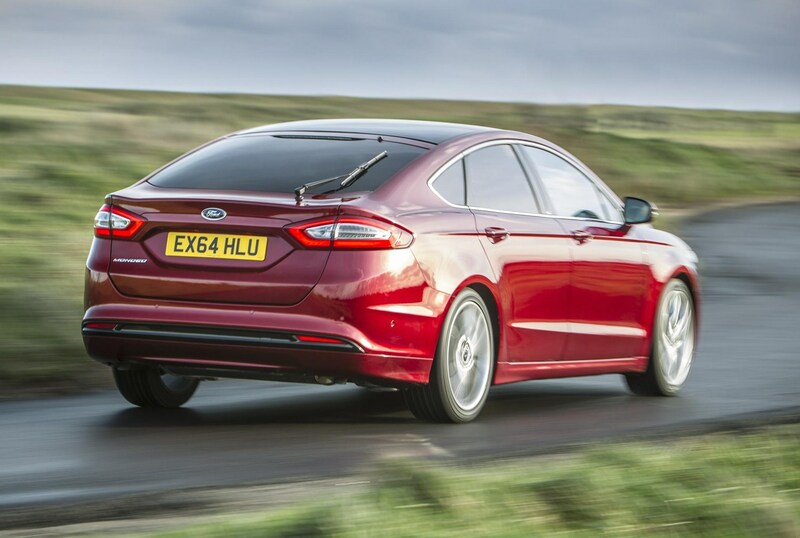 Comfort remains strong at urban and motorway speeds too, and while the standard suspension settings fitted in the UK copes admirably with bumps and ruts, you do feel the initial intrusion, albeit softened. 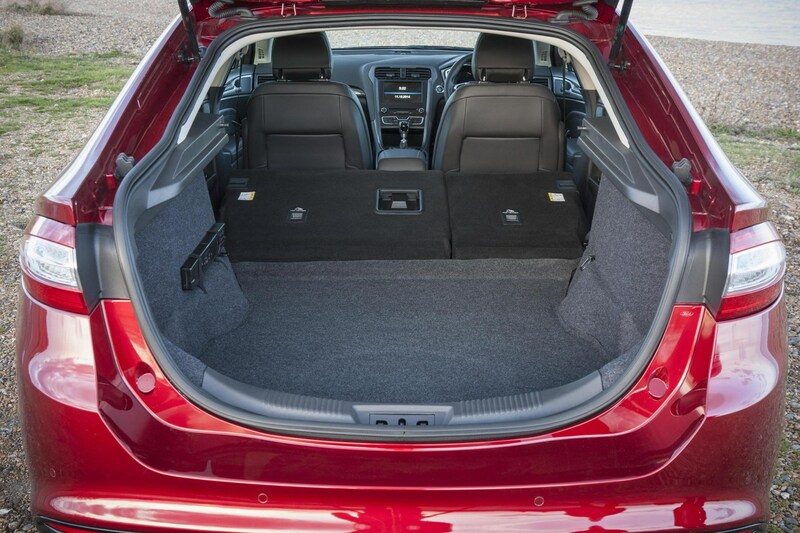 It’s not severe enough to trouble passengers but it lends a sporty sensation to a car that otherwise doesn’t feel that way inclined. 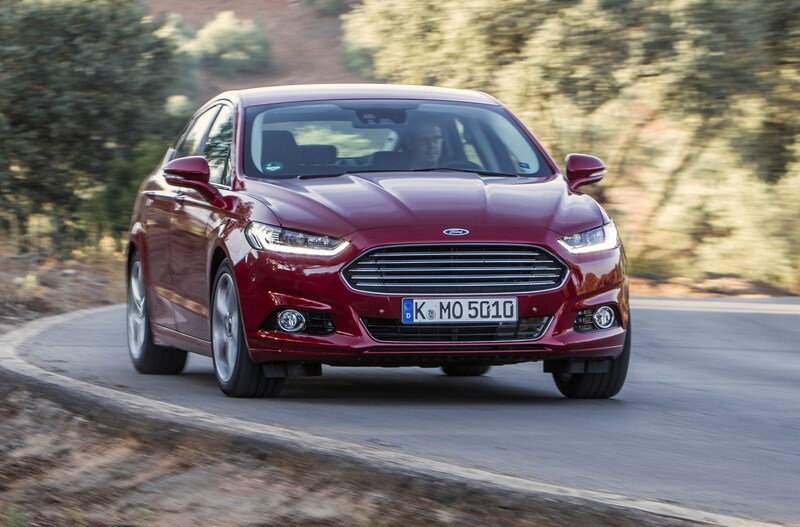 Ergonomically the Mondeo’s sound too, with pedals and gear lever falling easily to hand with well-weighted actuations too. 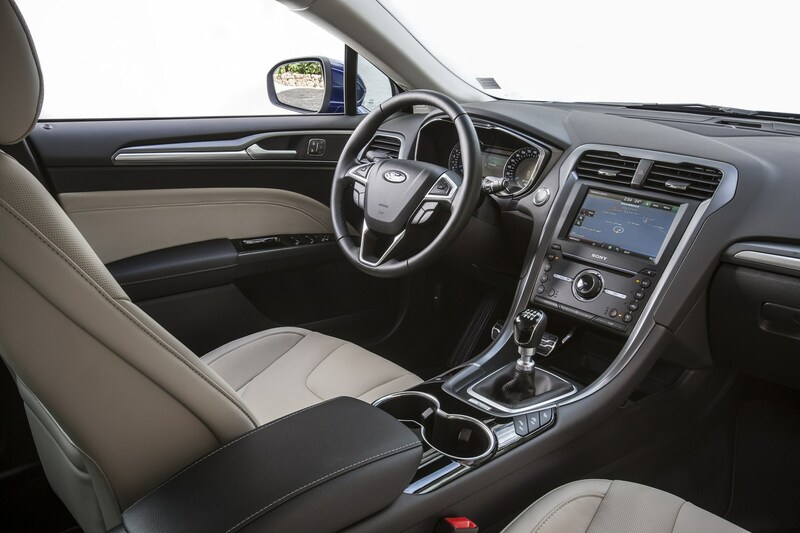 There’s plenty of adjustment in the seats and steering column too, while the light sensation of the steering further aids comfort. 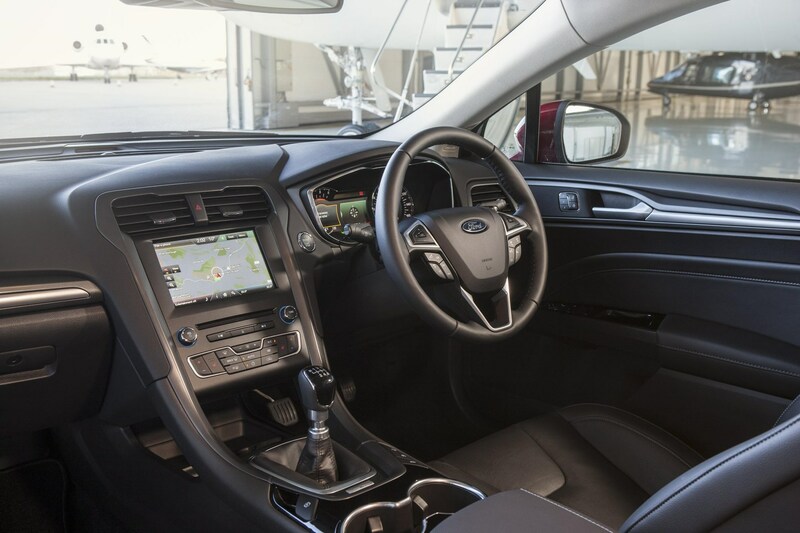 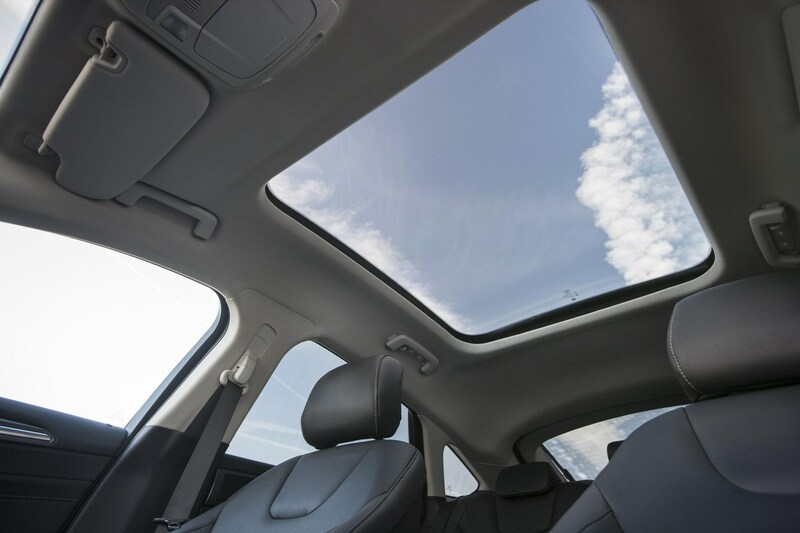 Dual-zone air-conditioned climate control effectively chills or warms the vast cabin as desired remarkably quickly, the sense of space amplified by the fixed glass roof option. 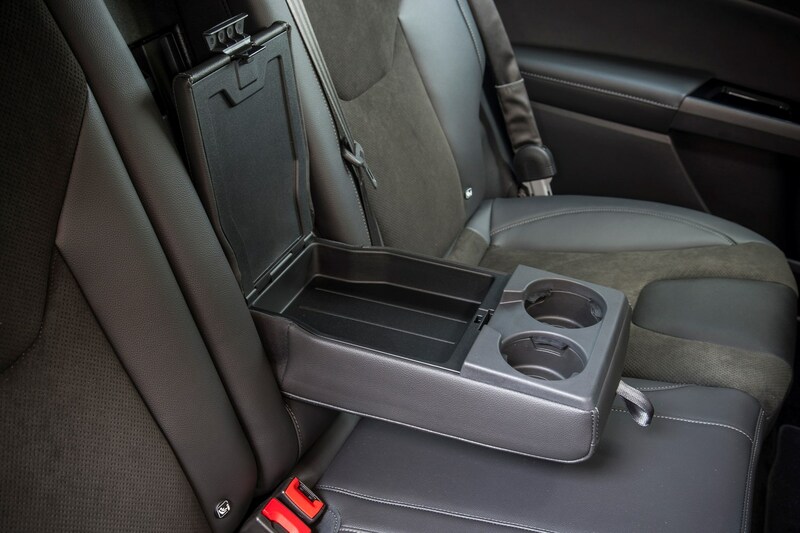 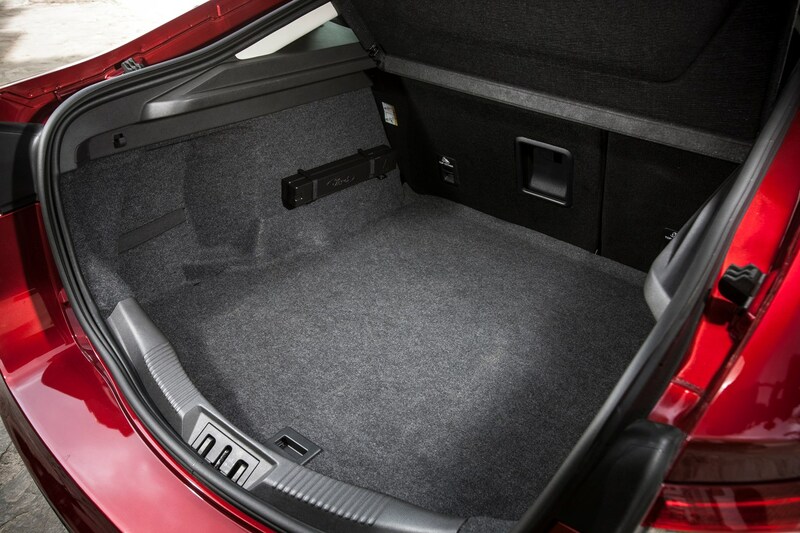 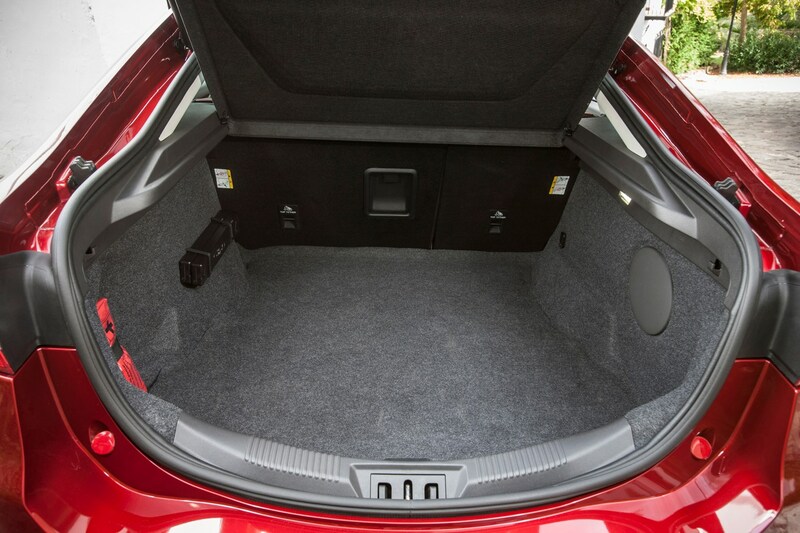 Soft touch plastics and high-grade materials elsewhere convey an aura of plushness normally associated with larger cars. 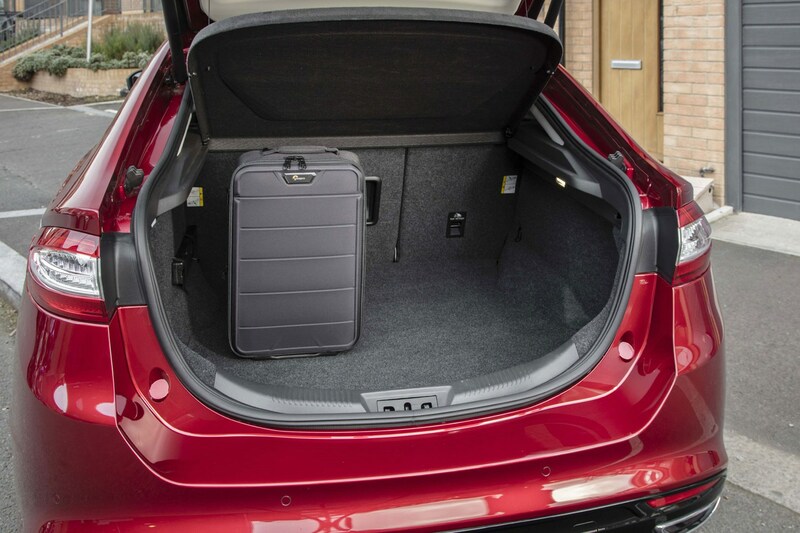 Wind noise is kept low, although there’s some low-level turbulence around the door mirrors which now protrude from pillars on the door skins rather than from the window frame. 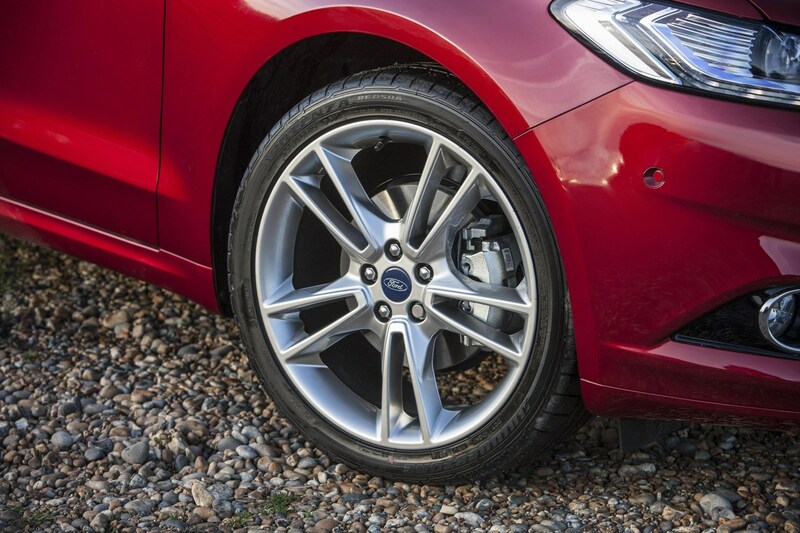 Some tyre noise also infiltrates the cabin when driving on coarser road surfaces too, which is more noticeable on cars fitted with larger alloy wheels.